Tonic Water specifically made for the Gin and Tonic is a relatively recent thing when compared with its history of more than two centuries. The popular mixer was created when, in the fight against malaria, a more pleasant way of administering quinine was sought, something more pleasant than swallowing what was pretty much a bitter lump of earth. The solution came in adding other botanicals to flavour it, some sugar and some soda water, and that became what we know as Tonic Water. When you add the useful to the pleasant, i.e. Tonic to the Gin, success is guaranteed and today Gin and Tonic is one of the world’s favourite drinks. It was in this historical vein that Fever Tree began a partnership with Malaria No More UK, with the unique aim of eradicating this disease. These days, Malaria is a reality far from the European continent, but still a quotidian problem in unluckier places. The Democratic Republic of Congo, where Fever Tree collects its quinine, and Nigeria, where it sources its ginger, are just two examples. 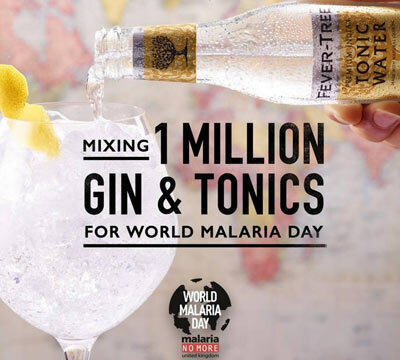 Fever Tree starts a campaign to collect donations will be delivered to Malaria No More UK, which is seeking not only the cure but also prevention for Malaria. Wherever we go, it seems, we leave our mark. This time, it was at the China Wine and Spirits Awards (CWSA) where Portugal swept up another 4 medals of distinction in the Gin category. The panel of the CWSA comprises of the 100 biggest drinks importers and distributors that operate in China and Hong Kong, which makes it one of the best barometers of popularity in those markets. With awards from Bronze up to Double Gold Medal, Opivm Gin won the highest of those distinctions, while Nautilus and Nao were each awarded the Gold Medal, which is great news for two Gins that have Portugal in their very soul, using seaweed from the Atlantic and Port in their recipes, respectively. Tinto Gin, another Portuguese Gin, produced in Valença, with an infusion of perico, a relative of the pear but which is similar to the plum, won the Silver Medal in the contest. This is all especially good news if we take into account our relatively short history in Gin production. It also shows that Portuguese brands are now seeking new markets apart from the home market, where the exponential growth of the last few years is seeing a natural slowing down. Naturally, we give all the winners our congratulations, and wait to see them win more prizes in the years to come. There’s a sucessor to Citadelle No Mistake Old Tom. Now included in the portfolio of the Extrêmes program of Maison Ferrand, is Wild Blossom, another aged gin, but more with more citrus and with a definite taste of cherry. The Extrêmes program allows Alexander Gabriel, the Master Distiller of Maison Ferrand, to free his imagination and look for absolutely new products, even if they mostly have their roots in the ancestral traditions of Gin. Wild Blossom – we’ll discover the reasons for the name – uses the same 19 botanicals as Citadelle Dry, but the similarities end there. Firstly, the raw material for the neutral alcohol is obtained from whole wheat. Then, to the 19 botanicals, Alexander Gabriel added a twentieth, wild cherry blossom, the wild blossom which gives its name to the Gin and which brings a more exotic and perfumed nature when compared to the classic Maison Ferrand version. The touch of the Wild Blossom cherry is further strengthened by the ageing of the Gin in barrels which are constructed from wild cherry wood. Thus an aged Gin joins Citadelle Reserve and its antecedent No Mistake which was another Old Tom class Gin because of its addition of sugar. According to the brand, this Gin is definitively more floral than it’s ancestors, without, however, losing its dry character with juniper ever present, and i tis more directed towards cocktails than Gin and Tonics. For the purists, Maison Ferrand promises a surprising experience when drunk neat, diluted only with a little ice. 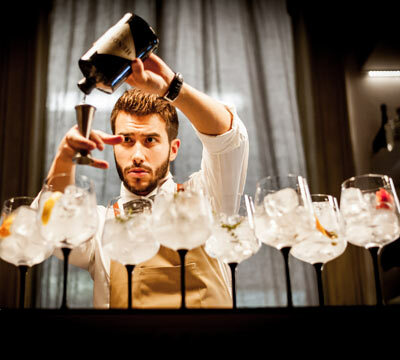 Martin Miller’s, one of the trendiest brands of recent years, and one of the Gins responsible for the Gin boom, has been acquired by the Zamora Company, an important player in the Spanish drinks market. Martin Miller’s was founded in 1999 a few months after Sir Martin Miller having challenged two friends to make their own Gin. They were doing it to go find an alternative to the killer national drink, the Gin and Tonic. Sat around a table in a bar, the three contemplated their glasses filled with a drink with alcohol and juniper that might depart from the hundreds of years history of Gin. The rest of the story is well known. Between individual distillations for each botanical, transatlantic voyages to find the purest of waters for the dilution, and the secret ingredient (cucumber, by the way) everything was Martin Miller’s trump card to come out on top as one of the world’s most charismatic and respected Gins. 2017 was a particularly positive year for Martin Miller’s, seeing its sales grow exponentially, having reached the 200,000 cases mark. 2018 marks a turning point, and the company leaves behind its familial structure that always characterized it, and passed into the hands of the Zamora Company, in a wider growth strategy of the Spanish importer and distributor. The intention of both parties is to strengthen growth in sales of Martin Miller’s even further, in parallel with the increase of markets where it will be available, without interfering with the internal policies of the English brand. Two of the largest drinks companies in the world, Pernod Ricard and Diageo, have announced plans to lessen their environmental impact, with a special focus on drinking straws and cocktail sticks. Pernod Ricard is going to stop the use of straws made of plastic and other non-biodegradable material, almost immediately, in all areas of their business as well as looking to their partners to adopt the same practices. The French company relate the exponential growth in the use of straws to the renaissance in cocktails. Remember that the useful life of a cocktail straw rarely exceeds 20 minutes, but it can take 200 years to decompose. Pernod’s involvement with the oceans, where the impact of plastic is the greatest, is longstanding. The Oceanographic Institurte Paul Ricard, which has been supported for more than 50 years by Pernod, was part of the decision in this environmental initiative. Diageo, also, announced a plan to speed up the reduction in its environmental impact, also seeking to eliminate the use of plastic straws and cocktail sticks in its drinks. For about a decade, Diageo has sought to reduce its environmental footprint by trying to use more recycled and recyclable materials. 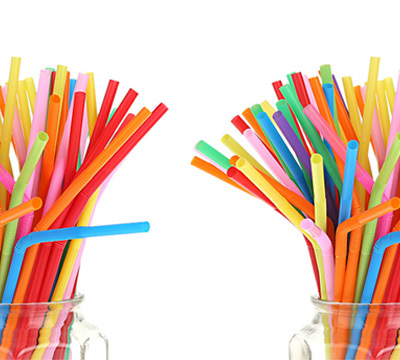 The irresponsible use of plastic straws and cocktail sticks has had a growing impact in rubbish production, mostly in the sea where it ends up in significant quantities. Thus, the English company will stop using these materials, whether at its events or in day-to-day life. The Gibson is a popular cocktail classic. It is almost the same as a Dry Martini, combining Gin with dry vermouth, but with a cocktail onion instead of lemon zest (or olive for the lovers of the Dirty version). Gibson is also the name of Marian Beke’s bar, in London. Copperhead – The Gibson Edition came from the collaboration between the Belgian distillery and the famed bartender seeking a product that was dry and saltier, which Marian Beke had never found until now. This new version of Copperhead, the third since the brand’s creation since 2014, uses five of the botanical from the original recipe – angelica, cardamom, coriander seed, orange peel and, of course, juniper – but a bouquet of 14 more spices, traditionally used in the pickling process is also added. Thus nutmeg flower, pepper, bay leaf, dill and fennel, amongst others, were added to confer a warmer and more spiced aroma to this Gin. To increase the complexity even further, and to smooth off the edges, it is finished with a touch of 8 year old Belgian Genebra. This is clearly a Gin aimed at the cocktail market, principally for Martinis, but according to the brand, it works well as a Gin and Tonic, too, although distinctly a drier one. The Gibson Edition is already available in the best bars and restaurants in London, but we’re still to hear any news about it arriving in Portugal. The Portuguese already took to Gin a good few years ago, even before its neighbour, Spain. Now it’s the turn for Gin to dethrone vodka and whisky and return to the top of the list of Britain’s favourite spirits. The vote is carried out every year by the Wine and Spirit Trade Association which recently published the results of 2017. The numbers are clear. Gin is the favourite spirit of 29%, followed closely by whisky lovers, with 25%, and vodka which won the heart of 23% of the voters. This vote confirms the evolution of Gin sales which reached 47 million bottles in 2017. In cash terms, it beat the £1200 million mark, meaning it doubled the takings of 2011. These numbers also show the trend for more sales in premium brands where the average price per bottle is above £25. The study also saw Gin and Tonic as the most nominated drink by the participants, knocking out all other Gin and other spirits drunk in any other way. At a time when, in Portugal, cocktailery is ever growing, although the consumption of Gin and Tonic is by far the winning drink, England seems to be going in the opposite direction. Though they aren’t abandoning the classics, they seem to be taking to the Iberian style of Gin and Tonic. Desmond Payne is one of the most well recognised distillers in the world today. Even for those new to the Gin world, his is an obligatory name, consecrated in more than 50 years of distilling. For a long time connected to the Pernod Ricard universe, Desmond now has his name linked to Beefeater and Plymouth, but despite more than half a century of distilling, it was only in 2008 that he created his first Gin, Beefeater 24. Meanwhile, the history of the iconic London Gin began a good few years earlier. Desmond has always had a taste for travel. The desire to find new places, cultures, people and flavours and aromas, always directed towards the less common tourist destinations. It was on one of these journeys, crossing Asia, that he fell for the tea that they used as a substitute for tonic water in Gin. They were times of shortages and tonic water was pretty hard to find. Missing the bitterness of quinine, Desmond found comfort in the astringency of local teas. Years later, while already developing Beefeater 24 and looking for something totally different and revolutionary, Desmond brought back his good old times in Asia and began a process of research to select teas which would give a light floral touch to the old British tradition. He found the answer in Japanese Sencha tea and Chinese green tea. Their lower oxidation confers a greater freshness and lighter floral note than other teas, complementing the sweet citrus touch of grapefruit and reinforcing the juniper. These two teas naturally give good results when they are used to flavour a Beefeater 24 and tonic, but we didn’t want to limit ourselves to these two and tested 5 serves all using tea and citrus. To the original recipe for Beefeater Dry were added three new botanicals. Chinese green tea, Japanese Sencha tea and grapefruit. We began with the more obvious and added Sencha tea to grapefruit. Gentler than Chinese green tea, Sencha finds its ideal partner in grapefruit which is one of the subtler citrus fruits. It is almost like drinking a Beefeater 24 with only tonic water, but with extra aroma. For the Chinese green tea, we chose lemon. The astringency and vivacity of the tea only find a parallel in the acidity and pungency of a ripe lemon zest. It is a fresh and light proposal, ideal for a hot day in summer… but doesn’t go badly on a cold winter night in front of the fire. White tea is made by infusing very young leaves which are protected as much as possible from the sun. It is a more floral and aromatic tea than green tea and for that reason it was combined with orange, which has a more intense flavour than grapefruit. It is a bolder proposal which carries more aromas and can be an alternative for those who like a lot of fruit. However, for the purists, this flavour mix might be too sinful since it hides the aromas of the Beefeater 24. Lemon balm tea is one of the most popular teas in Portugal and for that reason it made sense for us to try it out. 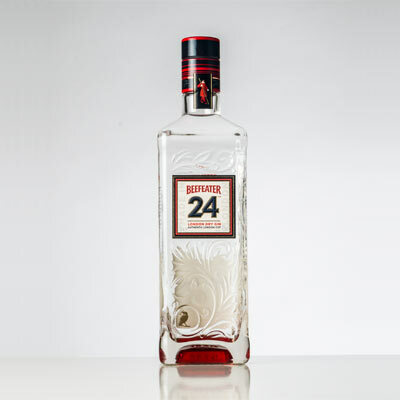 Its fresh and slightly astringent touch awakens all the aromas in Beefeater 24. 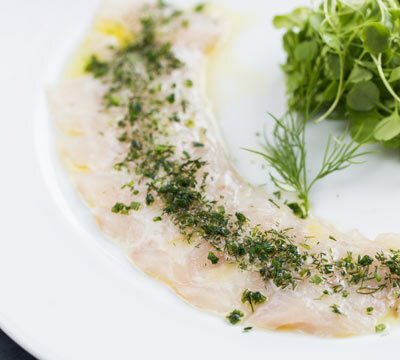 To it we added a carpaccio of kumquat for a gentle citrus note which can also serve as a snack for the more adventurous. We used the same method to flavour all the serves described above. In a separate glass we made an infusion of Beefeater 24 with each of the teas, using an infuser. The process is pretty straightforward and similar to the way normal tea is made, with the advantage of not having to heat the liquid. Just fill the infuser with the selected tea and place it in the glass. Between 30 seconds and 1 minute will be enough, but you can stir it to accelerate the process. One infuser full of tea leaves is easily enough to flavour 20 gins. Lastly, the most exotic and the most practical version. Here, instead of flavouring the Gin with the tea, we sped up the process and used a flavoured tonic, Schweppes Match. Matcha is also a green tea, which comes in the form of a bright green powder and a flavour which is more astringent and fresh than the others. For even more freshness, we added yuzu zest, yuzu being a Japanese citrus fruit which is making its way to Europe. It was clear to us the strong connection between Beefeater 24 and tea and its adaptability in all the varieties we tested, and we are certain it would also work well with a wide variety of floral botanicals. The link to citrus fruits is also easy and natural. The grapefruit remains our favourite when we talk about Beefeater 24 but all the other citrus fruits gave good results. It all began a few years ago, at the dinner table where 8 friends met in what would become a weekly ritual. To dinner, they added a new Gin to taste each week. The challenge of bringing something new week after week became harder and harder and almost reached the point at which it was impossible to surprise the group. This was the cue for Luís Afonso, one of the 8, to get to work and start making his own Gin from scratch, one that would break from everything else they had tried. He bought a small copper still and began his quest of aromatic alchemy, in a long but gratifying process which culminated in the perfect mixture that would be tasted by the most important group of testers… Luis Afonso’s group of 8. Disguised in a plain bottle, INseparable was given to the group to try and it was approved straight away. Approved to the point that they decided immediately that they were in the presence of a Gin that was worthy of being shown to everyone, not just the 8 friends. They began to refine the recipe and getting it ready for production. In all, they tested 93 botanical, but only 36 remained in the final recipe. To minimize the effect of inevitable variations in aromas that natural products suffer, they turned to Tec Labs at the faculty of science of the University of Lisbon which analyses all the botanicals for each batch and indicates any alterations they should make in the percentages. The flavouring of the alcohol is done in two distinct steps. First, cold, when 34 of the botanicals are macerated and left in contact with the alcohol. The maceration time varies from botanical to botanical in order for each one to shine as much as the next. The already flavoured alcohol is then filtered into the still, where the two remaining botanicals are waiting in an aroma basket. Which botanicals are which? Only the 8 know. INseparable has 45 volumes of alcohol and thus would be expected that it would have a marked alcohol aroma, but this is not the case and instead, it is the sweet and spicy notes that punctuate the nose. There is a sweet hit of honey but it is also easy to find the warmer notes of vanilla and cinnamon. In the mouth, INseparable keeps its smoothness and warmth. The identifiable notes on the nose also include cocoa and allspice. Ventozelo Premium Dry Gin is the most recent acquisition on our shelves. It is hard to talk about this Gin without first talking about the Quinta which gives it its name. In the heart of the Douro, in the district of São João da Pesqueira, Quinta de Ventozelo extends across the hills for an impressive 600 hectares. It is there that some of Portugal’s best ports and table wines originate. It is also where you can find incredibly rich flora, with a clear Mediterranean influence. It was this botanic richness which served as inspiration for the creation of this new Portuguese Gin. Lavender, lemon thyme, bela-luz thyme and amaranth are just some of the examples of botanicals that grow in the slatey soils of the Quinta. To these is added a secret blend of aromatic plants, thought up and created by the nursery Cantinho das Aromáticas, a partner in this project. The creation of Ventozelo Premium Dry Gin also counted on the collaboration of Instituto Abel Salazar in what became a clear alliance between experimentation, investigation, tradition and innovation. Ventozelo marks itself out from the competition by its use of alcohol and aguardente obtained from grape must, and from the wine which give it wine aromas and flavours which are distinctly different from neutral alcohol made from a cereal base. It results in a smoother alcohol than one would expect from one with 45º. On the nose, two notes immediately make themselves known. The flavour of wine, but also floral notes fill the nose with a gentle, almost sweet bouquet which pushes the juniper back a step. The palate is the confirmation of the aromas we found in the nose. The perfume of lavender, the oily touch of the bela-luz thyme and the freshness of the lemon thyme cross over each other, always supported by a soft alcohol which seems to be rounded by the sweetness of honey. The juniper appears only later to prove the dry nature of this Gin without losing its wine DNA. Known Botanicals 18 botanicals in total, among which are cinnamon, cardamom, ginger, hibiscus, orange, lavender, lemon, pennyroyal, sage, Baga grapes and juniper. Adamus is the jewel in the crown of Destilaria Levira and that’s what the name means: Adamus is diamond in ancient Greek. The distillery has almost a hundred years of history, dedicated mostly to the production of aguardente bagaceira. In the last few years, due to heavy investment in innovation and the development of new products, it created the Adamus range, entirely dedicated to super-premium products. The epic poem of Adamus, the Gin, began with a study into the organoleptic properties of an initial selection of 86 botanicals. It was the team’s intention to have a detailed knowledge of the raw materials with which they would make Adamus to best complement the Baga grape, typical of the region and the central botanical in the recipe. After various distillations, separately and individually, indispensable tests, some steps forward, some back, the final formula was decided upon with 18 botanicals. The team spared no efforts For them, satisfactory was not enough, only excellence was their goal. Adamus is a decidedly fruity Gin which escapes the more traditional rule of juniper being the central element. On the nose we note the gentle aroma of the grape and the exotic touch of the cardamom. Fruit occupies the central stage on the palate, with the grape being followed lightly by they citrus fruits, but also a more herbal side with the lavender and the sage. Known Botanicals Lemon, Coriander, Lemon Thyme, Bela-Luz Thyme, Lavender Amaranth, Mint and Juniper, among others. It is hard to talk about this Gin without first talking about the Quinta which gives it its name. In the heart of the Douro, in the district of São João da Pesqueira, Quinta de Ventozelo extends across the hills for an impressive 600 hectares. It is there that some of Portugal’s best ports and table wines originate. It is also where you can find incredibly rich flora, with a clear Mediterranean influence. Known Botanicals 36 botanicals in total, where honey, cinnamon, vanilla, Peruvian cocoa and allspice predominate. There’s a new Portuguese Gin on the market. INseparable is another new Gin on our shelves where it finds itself next to tens of other Portuguese Gins. There are stories that are as simples as they are inspiring. That of Family of Hounds is one of them and it begins with some friends on a weekend away in the British countryside. Strangely, it was there that they tried their first G&T. It was love at first sight. After that, there were innumerable tastings, seeing the differences between brands, discovering which they liked and disliked the most, culminating in the production of their own gin, when Family of Hounds was born, named in honour of their dogs. Family of Hounds is a London Dry and thus has a fairly small range of botanicals - nine - but there is still room for a little eccentricity. To the traditional orange, lemon, grapefruit, coriander seed and, of course, juniper, they added cardamom, ginger, lavender and thyme. Family of Hounds is fresher and more aromatic than more traditional London Drys. The juniper is there, but it is the exotic touch of cardamom and the freshness of the citrus fruits which first punctuate the nose. On the palate, Family of Hounds shows itself to be more complex than that. On first impact, we straight away sense the cardamom that is the signature of this gin. After that, the herbal note of the thyme, all the splendour of the citrus fruits and the juniper which act as back up. Surprising is the hotter touch of the ginger which turns the flavour of this gin longer than normal. 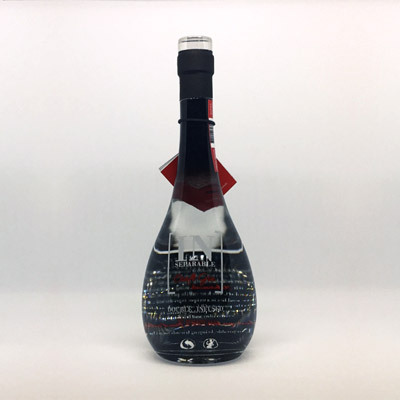 Rocha Negra is the first Gin to be distilled in the Azorean archipelago, created by the company Lima e Quental, which was founded in 1946 and has been connected to the drinks industry ever since. Later, about 40 years ago, they began making their own alcoholic beverages, distilling their first spirits. Rocha Negra Gin whose name comes from basalt, the volcanic rock which abounds in the Azores, naturally came to be, amongst a wider range of new spirits. The intention was always to create a Gin that transmits the essence of the whole archipelago through its flavours, therefore it was given Azorean native botanicals to shine through as the principal aromas. Rosemary, mint and lemon and above all, rock samphire make Rocha Negra a unique Gin that meanders between the citrus and herbal notes, always with a touch of saltiness while at the same time slightly sweet. This improbable mixture is in large part down to the rock samphire, or sea fennel as it also known, is a small plant that grows next to the sea and adds a natural salty touch of the seaside, with a hint of sweetness reminiscent of carrot. The aroma of Rocha Negra is hard to decode at first. The softer and warmer notes cross over the fresher, saltier ones, the latter prevailing. In the mouth, the roles reverse and thw warm, sweet notes which occupy the palate appear strong and pungent right from the start, falling away until the the end, and giving way to a generous pinch of salt. Known Botanicals 24 in total, but not all revealed. Licorice, Angélica, Anise, Bergamot, Camomile, Cassia, a mixture of Citruses, Lavander, Lily Root, Kaffir Lime leaves, Honey, Dried Pear, Cubeba Pepper, Rose Petals, Elderflower, Tilia and Juniper. Silent Pool, the natural swimming pool and the distillery are both found in the small village of Albury in Surrey. Ian McCulloch, the founder of the company, found in the natural beauty of Silent Pool the perfect place to set up his distillery and, more importantly, find the inspiration for the spirits he distils there. The Gin Silent Pool can therefore be described with the words which also characterize the water of Silent Pool, the lake – limpid, pure and refreshing. Silent Pool allies the almost orthodox ancestral methods of distillation with new techniques of flavouring the spirit base, paying extreme attention to the smallest details. The production of steam for heating the still by burning wood grown nearby, ending up in a chimney with a whistle is just one of those details. The botanicals, 24 in total, are incorporated in the spirit base in 3 distinct stages. A first portion is macerated in the alcohol base to confer a long and deep flavour to the Gin. A second portion is macerated in a higher strength neutral alcohol which is then filtered. This way the oils in which the aromatic components are found can be retained. The final portion, in which not all 24 botanicals are present, is added to the still inside an aroma basket. All the botanicals in there are fresh, not dried, and are responsible to for the life and freshness of Silent Pool. The abundance of botanicals is obvious on first contact. Its aroma meanders between floral and fruity, citric and the gentle touch of honey and the ever present juniper, which give room to each other in a pleasing harmony. Citrus fruits, such as the fresh tasting lime, the common lime and the Kaffir lime, combine with the gentler bergamot. The floral touch of camomile, elderflower and lavender round out the palate and guarantee the extreme smoothness of this Gin. The presence of pear strongly punctuates the Gin along with the spices such as star anise and cassia, and the sweetness of the honey. Known Botanicals 14 botanicals in total with 5 main ones: Citrus fruit, Mastruz, Heather, Honey and Walnut. Amicis is made right in the centre of Portugal, with Coimbra at its heart, between the sierras of Açor and Sicó. And from there come all the 14 botanicals used in production, in a “book of sensory memories from where I grew up”, the words of Paulo Pereira, the tutor of Bar and Restaurants in the School of Tourism of Portugal Douro-Lamego who became, through curiosity, the creator of Amicis. Paulo Pereira managed to convinced Miguel Gonçalves to join the project and together, they persuaded shark Marco Galinha to join them, and pull the project together once the development of the product was done. Amicis is a 100% Portuguese Gin, 100% original with a 100% new bouquet. Mono-distillations of heather flowers, walnut, honey, oranges from Coimbra, mastruz (essential in the making of Rabaçal cheese) and nine other botanicals make Amicis one of the most aromatic and distinctive Gins. On the nose, there is fresh touch is reminiscent of mint and the citrus notes immediately reveal the mastruz and the citrus fruits used in its creation. The 40 volumes of alcohol are not evident on the nose. Rather, the extreme smoothness of the alcohol which appears to have no edge. The heather, walnut and honey are not immediately evident in the bouquet, but in the mouth, we find them through the gentle touch and slight sweetness of this Gin. Known Botanicals Carraway, Rosemary, Angelica (root and seeds), Cassia, Coriander seeds, Nutmeg, Sage and Juniper. It was 1762 when Edward Boodle founded Boodle’s Gentlemen’s Club in St James Street, London. Almost a century later, in 1845, the recipe for Boodles Gin was born, a recipe still used today, the favourite Gin of Winston Churchill. Pure English wheat used for the production of the neutral alcohol and no citrus in the palette of botanicals are the stand out features of this classic. Boodles was imagined as a blank canvas upon which each artist could express their own essence, with an alcohol base which permits anyone to put their taste, without any conditions by the creator’s vision. It’s because of this, and because they always imagine Gin served with lime or lemon, that the creators of Boodles opted to not put any citrus in the Gin itself. Boodles is a London Dry Gin with gentle herb and spice notes. Looking at the list of botanicals they use, there is an impressive number of warm flavoured spices, such as the carraway and the nutmeg. Also the herbs used, rosemary and sage, contribute to a greater warmth and roundness of this Gin. On the nose, the caraway is noticeable first. It is gentler than the coriander seeds, and the aniseed brings warmth to the bouquet. Then the nutmeg and cassia appear, mixed together with the coherent touch of the herbs. In the mouth, confirmation that everything in the aroma is true, and where the smoothness of the alcohol is even more evident. Known Botanicals Rosemary, Corn husks, Camomile, Cinnaon, Thistle, Coriander Seed, Orange blosoom, Lily root, Lemon verbena, Honey, Juniper. Bica Gin was born after 2 years of extensive experiments. It is in the Alentejo that many of the botanicals for this Gin with an Alentejan heart are found. The orange and lemon peels, harvested in Herdade do Vale, the honey and the corn husks, bought from small local producers, and the rosemary which grows wild all around are just some examples. The botanical palette has the Alentejo at its heart but the world in its sights, with its coriander seeds, cinnamon, lemon verbena, camomile, orange blossom, thistle, lily root and juniper, which comes from Macedonia. Respecting the intrinsic characteristics of each botanical, the process of maceration is done using different times and methods for each, while always using a wheat and rice based alcohol. This never takes more than 24 hours, at the end of which, distillation begins in the still which was especially developed for Bica Gin, with 500 litre capacity, and a bain marie heated by wood burner. On the nose, Bica Gin is pretty smooth, with herbal touches in which the rosemary is immediately detectable. Less apparent, but still noticeable are the citrus notes, and cinnamon, conferring warmth and comfort. In the mouth, the smoothness of the alcohol shows itself. Piquant touches punctuate the warmth from the spices and the more herbal side of Bica Gin. The mouth is extremely long and continues to develops until the juniper and the sweetness of the orange appear together, in harmony. Known Botanicals 32 in total, with focus on Juniper, Lemon Verbena, Pine Sprigs and a mixture of citrus fruits and warm spices. 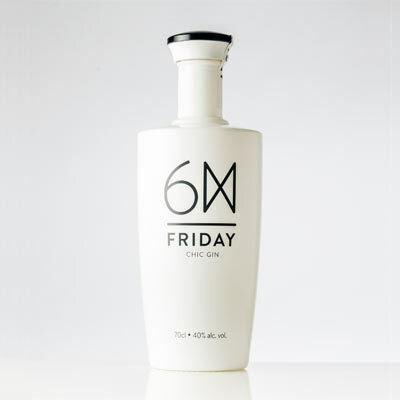 National Gin & Tonic Day is on its fifth edition. Gin Lovers Gin its third. After a Gin which we adapted followed by a Gin thought up and created from scratch, here is our 2017 Edition, a 100% Gin Lovers production. The directive was simple: make a Gin that is agreeable to the greatest number of people possible. Juniper and Citrus for the purists and traditionalists, but smooth and fruity enough to convince those less accustomed to the bitter sip of this our favourite spirit. This edition was thought up from scratch but always had as its base the knowledge and opinions we have gathered from the previous versions. Straight away we reduced the degree of botanicals to make a cleaner and more direct flavour. There are now 32 botanicals used in Gin Lovers Gin, reducing the floral and herbal elements to allow the citrus ones to shine through. Rose petals, Globe Amaranth, Iceland Moss (a lichen) and Breckland Thyme, among others, were left out of the production of Gin Lovers 2017. We also altered the balance of the power players. Juniper still occupies central stage but it is now accompanied by lemon verbena, pine sprigs and a mixture of citrus fruits, still leaving space for the warmer spices like cinnamon, cassia bark and nutmeg. Changing a product, especially a Gin, is a complicated step by step process where the whole is always different from the sum of its parts. We wanted a Gin which inherited some of the complex aromas of Xmas Edition 2016 but on the other hand had a more defined matrix with strong vertexes of juniper, pine sprigs, lemon verbena and the citrus fruits. The alcohol level has also been lowered with the idea of increasing the lightness of the Gin without compromising the depth of aromas. It is now 41% vol. This decrease in alcohol level goes with the decrease in complexity. In other words, the 2016 versions demanded a higher level of alcohol to carry all of its aromas. The simplification of the botanical palette and almost the entire elimination of floral and herbal elements permits a decrease in alcohol. Gin Lovers 2017 is therefore a Gin which sits somewhere between classic London Drys and deeper aroma Gins. On tasting, expect the juniper to be refreshed by the pine sprigs and the lemon verbena, followed by the mix of citrus fruits where the orange crosses with the vivacity of bergamot and a warm finish punctuated by warm spices. Jenever can be considered one of the first Gins. Produced in the low countries since the 17th Century, it was developed for medicinal ends. At the time, it was believed that juniper, Gins main botanical, had curative powers, and it was juniper which gave it its name (jenever being Dutch for juniper). Jenever is different from modern Gins because of its more limited array of botanical and dilution with malt wine, which gives it a hard, bitter flavour. It was in Jenever that the English found inspiration for Gin. During the 80 years war, British soldiers fought alongside the Dutch against the Spanish. Before each battle, a shot of Jenever or, as it became known, “Dutch Courage”, was drunk to warm the soul. Jenever, whose name means juniper, is therefore the ancestor of Gin, and has been produced since the 17th Century. The first recipe is attributed to Franciscus Sylvius, a respected professor at the university of Leiden. Recipe or prescription, because Jenever’s first uses were medicinal, mostly for kidney ailments, and not for enjoyment’s sake, like today. The attribution for its invention, however, isn’t consensual. Towards the theory that Jenever existed before, there are written references to this medicine, to Aqua Juniperi, made long before the birth of Sylvius. The almost exclusive use of juniper during distillation and dilution later with malt wine are two factors that differentiate Jenever from its successor, Gin. In effect, the recipes for Jenever are very sparing in botanicals, apart from the obligatory juniper, and some herbs and citrus fruits. The spotlights always stayed on juniper, though. After distillation, the resulting spirit is diluted with malt wine, the quantity of which gives further designations to different Jenevers. Jonge (young) Jenever has a maximum of 15% of malt wine and Oude (old) can have more than that. There is a third kind, Korinwijn, which is rarer, in which the percentage of malt wine is over 50%. Known Botanicals Liquorice, Almond, Angelica root and seed, coriander seed, lily root, orange, lemon and grapefruit peel, juniper. Beefeater Crown Jewel was born in 1993. The “first” premium Gin was produced from the original Beefeater recipe, using grapefruit as its tenth botanical, and was aimed at the Duty Free market, an ultra-exclusive niche market at the time. Later on, in 2009, Crown Jewel was discontinued, opening the door for Beefeater 24, a decision which caused some “upset” in the many fans it had gained over the years. This new re-edition is faithful to its original recipe but brings some slight alterations in the bottle, namely with the change in name of the ravens that live at the Tower of London, to which Crown Jewel pays homage. The almost umbilical connection between Beefeater and the city which saw its creation and, in particular, the Tower of London is well known. The legend says that if the ravens leave the tower, the Tower and the monarchy will fall. Crown Jewel follows the rules of the Beefeater house. Omnipresent Juniper and the citrus touch are also signatures here, detectable in the first aromas released. In the mouth, Crown Jewel reveals a fairly robust Gin, with its 50 volumes of alcohol playing a part, full of juniper and a citrus touch where grapefruit occupies central position. Despite its high alcohol level, Crown Jewel is an extremely smooth Gin. In the 19th century, quinine was harvested by felling trees, an unsustainable method. The trade of the plants and seeds was also prohibited, and extinction became a real threat. Risking his own life, Charles Ledger, along with his faithful companion, collected seeds of the species Cinchona Ledgeriana, which were sold to the Dutch government, but also spread through India and Indonesia. Charles Ledger gave the world the best of quinines, the only known prophylactic to malaria. 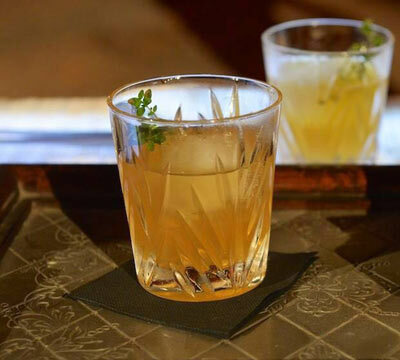 Ledger’s Tonic seeks to incorporate all the spirit of adventure and greatness of the personality that inspired it. The label promises what the nose proves. The cinnamon aroma liberated on opening is dominant and relegate the bitterness of quinine to second place. If there are any doubts, they are dissipated on the first sip where the mature fruit notes and the sweetness of the stevia, almost caramel-like, serve as backup to the ever present cinnamon. The comforting signature of this tonic is further accentuated by the low carbonation and the amber colour, which comes from the cinnamon. Ledger’s is sold in traditional 200ml bottles The big detail of the label is given to Charles Ledger himself, the inspiration for the tonic. There is also mention of Stevia, a natural sweetener with very few calories. As a contrast to character Gins, citrus Gins or in warm harmony with aged Gins, just choose any, Ledger’s Cinnamon will always be good company. Known Botanicals Liquorice, Angelica, Coriander seed and Juniper. The legend of Tanqueray Dry Gin has its beginnings in 1838. It was in that year, 8 years after the distillery was founded, that Charles Tanqueray created one of the most iconic Gins in the world. At the time, he was 20 years old with little experience in the art of distillation, but that didn’t stop him creating a recipe which is still used for the production of Tanqueray Dry Gin. Liquorice, Angelica, Coriander seeds and Juniper are all used. Just as with everything, the secret is in the details. In Cameronbridge, Scotland, where the distillery moved after its buildings in Bloomsbury were bombed in the second world war, the botanicals are placed in the still without any previous maceration. The spirit obtained from that is then reduced to 43.1º. Tanqueray Dry Gin IS Juniper. It is Juniper that takes over the whole of the bouquet of aromas liberated when we open the bottle, but there is a light citrus note which proves once again the masterful use of Coriander seeds in a Gin that uses no actual citrus fruit. In the mouth, it is also Juniper that appears first, with a quite dry taste which then opens out and gives way to the comforting spiciness and sweetness of the angelica and liquorice. Having been produced for 600 years in the springs of San Pellegrino in the Italian Alps, it is currently one of the most famous carbonated waters in the world. Taking advantage of its fame and know how, the company began to produce other soft drinks with their water as a base, adding fruit juices. 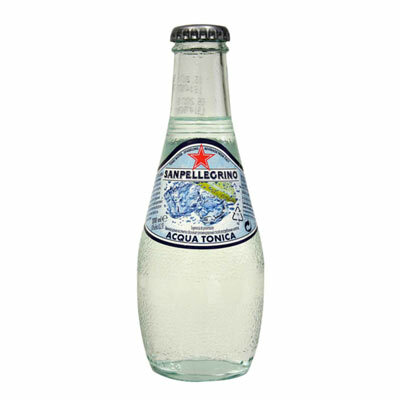 Only later came their tonic water, despite a phrase that tells another story: “It took many years to reach perfection”. San Pellegrino Tonic uses the same characteristic bottles as the brands fruit drinks, in the shape of a club, with glass textured like the skin of citrus fruit. The label with its red star and cyan background are reminiscent of the Belle Époque. San Pellegrino presents an absolute clarity. In repose, it can be confused with pure water. The gas presents itself only in the necessary quantity to produce a relatively persistent fine bubble. On the nose, the citrus character dominates, obfuscating the bitterness of the quinine. Freshness of lime and lemon being the predominant notes, and a herbal touch on second stage. On the palate, the earthy notes rise elegantly showing that the quinine doesn’t dominate but remains present. A fairly eclectic and versatile tonic that can be used to mix an almost limitless number of Gins. Ideal for minimalist concoctions, helping the Gin to shine. Known Botanicals Angelica, Coriander seed, Ginger, Rangpur Limes, Bay leaf and Juniper. Tanqueray Rangpur is the freshest of all of the Tanqueray range and owes its name to the Rangpur Limes, a curious fruit whose name varies depending on where it is being mentioned and which isn’t actually a lime, but a hybrid of lemon and tangerine, similar to Bergamot. 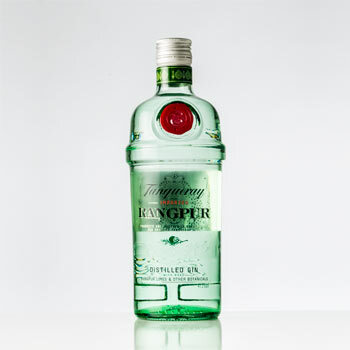 Tanqueray Rangpur was imagined and created to be served as part of a Gin & Tonic. This was in 2006 when this was the first Tanqueray Gin to relegate Juniper to second place, seeking instead to bring a freshness and acid touch of citrus fruits to the table. However, the two join together in a smooth and harmonious way which further counts on the more exotic and herbal flavour of Ginger and Bay leaf. Since it was created specifically for Gin & Tonic, the alcohol level of Tanqueray Rangpur is lower than other Tanqueray Gins, being diluted to 41.3 volumes. On the nose, Tanqueray Rangpur brings the fresh aromas of lemon and lime to the fore. Only after the citrus do we find the Juniper, only slightly evident when compared to the other Tanquerays. In the end, the sweetness and roundness of this gin are in effect. In the mouth, they continue to contain the citrus in a simple and direct palate. Known Botanicals The botanicals are not revealed, but Strawberry and Juniper are certainly contained. Puerto de Indias Strawberry is the fruitier of the range and has a smoother aroma than the vast majority of Gins. On the nose, the strawberry notes emerge immediately. As back up, we have sweet notes reminiscent of the softness of elderflower and the exoticism of vanilla. This bouquet of aromas pushes Juniper back into second place. The alcohol is less evident in Puerto de Indias Strawberry, not just because of its lower volume at 37.5º, but also because of its sweet and round notes. On tasting Puerto de India Strawberry, we can confirm all the flavour notes that were present in the aroma bouquet. It’s worth mentioning the extreme smoothness of this Gin and the intense aroma of ripe strawberries, emblematic of southern Spain. Known Botanicals Angelica, Cardamom, Coriander seed, Orange, Lemon, Lily root and Juniper. In fact, the Gin was transported in barrels in the hold, alongside the gunpowder. The strength of Plymouth Navy Strength was “thought” that even if the gin came into contact with the gunpowder, the latter wouldn’t lose its ability to explode, something that had happened in the Original version with 41.2º alcohol. Plymouth Gin was born in 1793 in the city which gave it its name and ever since then, produced ever since in the Plymouth Gin Distillery, what was the Black Friars Distillery, situated next to the port, making it the oldest distillery in England still in production. The distillery took the place of a monastery, which is why on every bottle there is always a monk engraved on the glass, and on the label the Mayflower. On the nose and on the palate, Plymouth Navy Strength is everything a Gin should be. On the nose, it is pungent with Juniper to the fore, supported by the citrus note of the coriander seeds and the perfume of cardamom. In the mouth it is rich and omnipresent. It is surprisingly smooth, considering its alcohol grade. It all began with a loan, whose guarantee was a recipe for Ginger Beer, over a hundred years ago. As the loan was never repaid, Thomas Fentiman began to produce Ginger Beer following that recipe, by fermenting botanicals. Its success was immediate and it didn’t take long for the whole family to join the business. Time moved on and with it came new products, like Ginger Ale and Tonic Water, but the methods of production never changed. Opening a bottle of Fentimans is like opening the door on a citrus orchard on a beautiful hot day. Full of life with a strong aroma of lemon and and lemon grass, with warm notes, it is impossible to remain indifferent. The method of production, the fermentation of the botanical, guarantees a greater intensity of flavour and a little alcohol, although it’s less than 0,5%. Another differentiating factor is the low level quinine resulting in a more herbal and, of course, citrus aroma. The Fentimans bottles, whose shape is common to all it products, are easily recognizable with their cylindrical shape and long neck where “Fearless” appears, Thoman Fentiman’s faithful dog, are reminiscent of old English beer bottles. 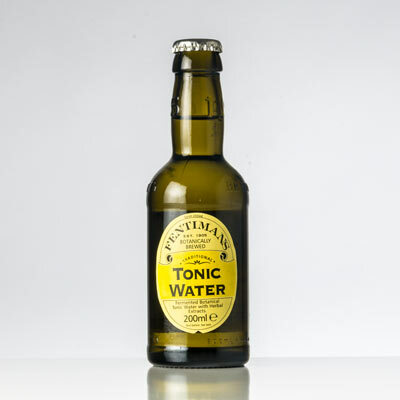 The tonic water bottle is green and can be found in 125ml, ideal for a G&T 1:2, and 200ml for the traditional G&T mix. Ideal for accentuating the citrus character of a Gin or for conferring some citrus on a drier or fruitier Gin. Combining it with American Dry makes for guaranteed success. Fever Tree Mediterranean is, as the name tells us, a tonic inspired by the Mediterranean. 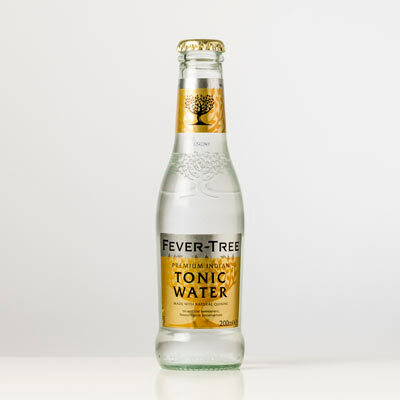 The English company created this tonic with Vodka Tonic drinkers in mind but Fever Tree Mediterranean has found a life beyond Vodka and today is a reference in the world of the Gin and Tonic. Having been created as a mixer for Vodka, Mediterranean is lighter in all aspects. It obviously has quinine mas less than usual which makes it a subtler ingredient. The citrus notes that punctuate almost all tonic waters is also less evident, top billing going instead to its more herbal side, with lemon thyme and rosemary under the spotlights. It’s only in the carbonation that Fever Tree Mediterranean is the same as its sibling, Indian. With a fine bubble and controlled intensity, the carbonation remains for longer and makes Fever Tree Mediterranean one of the freshest and smoothest tonics on the market. To go the name of the sea, Mediterranean’s label is blue. On the neck, also with a blue background, the brand’s fever tree, as the Quina tree became known. Similarly to the Indian version, it’s available in 200ml and 500ml bottles. Fever Tree Mediterranean is a versatile tonic, making for great results with the vast majority of Gins. Known Botanicals Liquorice, Almond, Angelica root and seed, Coriander seed, Lily root, Orange and Lemon peel, and Juniper. Since its beginnings, Beefeater has been connected to the city where still today it is produced. It’s not odd, then that James Burrough baptized the brand with the name given to the guards of the Tower of London. From its first home in Cale Street, where it was born in 1876, Beefeater has also lived in two other homes. The first was in Hutton Road, Lambeth, where they had to move to up production to meet demand, the second, for the same reasons, in Kennington. The latter is the still the home of Beefeater. Beefeater Lond Dry Gin is, today, one of the symbols of the city it calls home, but also one of the iconic London Dry Gins. From the first pungent notes of Juniper that leap from the bottle to the palate where it remains at the forefront, backed up by the markedly citrus notes, it is all that a London Dry should be. The 9 botanicals used in its production are the base of the recipe of all the Gins that Beefeater makes. 1724 tonic water owes its name to the altitude at which its quinine is harvested. In the Andes, on the ancient Inca Trail, is the place where it all began. It was where quinine was first discovered and where began the odyssey which centuries later resulted in the invention of tonic water. No other place could ever translate so well the authenticity of the key ingredient of all tonic waters. 1724 was created to meet the ever more demanding spirits market. It was thus that it was developed to show all the best qualities of the drink it accompanies and that is why it is gentler and more delicate than most tonic waters. It has a low quinine level which makes it slightly sweeter. For the record, 1724 has no more sweetening ingredients than other tonics, it just seems that way. 1724 also has less gas when compared to more commercial tonic waters. With a fine bubble, reminiscent of Champagne, the carbonation is always present but never overwhelms. 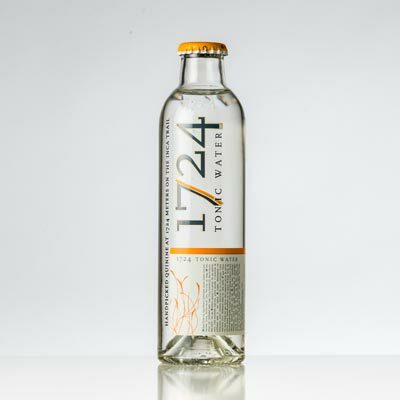 1724 is also gentle in its mixture of flavouring botanicals. Here there are citrus fruits that are warm and delicate, that remind us of oranges and tangerines. 1724 is a neutral tonic and for that reason it is very versatile. However, being a rather subtle tonic, avoid using it to mix with very strongly flavoured Gins. Charles Rolls and Tim Warrilow are the founders of Fever Tree, a tonic which is still in its youth, at ten years old since its first bottling. Disappointed with what was on offer at the time, they started out on an adventure to create a new tonic made only from natural ingredients. 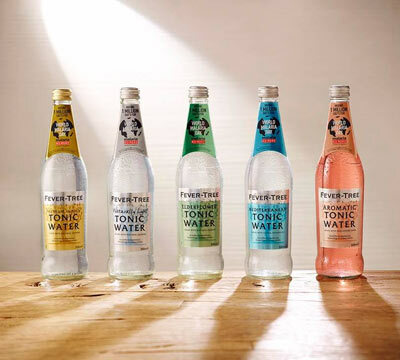 Between days spent reading in the British Library, journeys to remote parts of Africa, and a final test of 5 recipes, they arrived at what, today, is considered the benchmark of tonic waters, Fever Tree. Fever Tree Indian can be bought in traditional 200ml tonic water bottles or in larger 500ml ones. On the label, on the neck and even the lid appears the fever tree from which tonic water’s essential ingredient, quinine, is derived. Elegance is the word that sums up Fever Tree Indian. Elegance while it is served; transparent, smooth and with a fine, delicate bubble. Elegance on the nose with that difficult balance between the natural bitterness of quinine and the sweetness of the citrus fruits. Elegance in the mouth, with the warm notes of orange and grapefruit that give way to the drier taste of the quinine. Elegance in the carbonation which, while always present, is limited to a minimum, maybe because of this it is slightly sweet. Versatility is its middle name. Fever Tree Indian is the ideal mixer for most Gins. Avoid only combining it with sweeter Gins. Known Botanicals Liquorice, Angelica root, Coriander seed, Juniper. 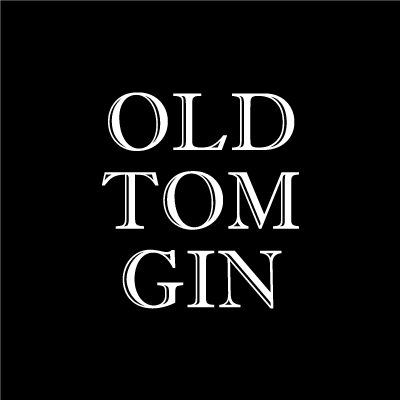 Old Tom Gin dates back to the 17th century, and is the stepping stone between Jenever, from the low countires, and London Dry Gin, the gin class which popularized Gin. Normally deemed a low quality product, fruit of badly controlled distillation processes, it had the peculiarity of needing sugar added to make it palatable. With the final Gin Act and the popularity of London Dry Gin, Old Gin was close to extinction. Meanwhile, there are still many “bibles” of cocktail in which Old Tom is much referred to, due to its sugar content which facilitates the spirit’s job. Tanqueray Old Tom is, though, the opposite of the classic low quality Old Tom. A fantastic Gin, inspired by the old recipes of Charles Tanqueray but using the best and most modern distillation techniques in still nº.4, from which it inherited its name. The botanicals are also the English company’s traditional ingredients, but the addition of beet sugar and the blend with neutral alcohol make it almost impossible to compare the different Gins. Tanqueray Old Tom was produced in a limited edition of 100 thousand bottles for the whole world, and is the brand’s smoothest Gin, where the notes of Juniper are smoothed by the liquorice and the natural sweeter used. You have to go back to the eighteenth century to tell the Schweppes tonic water story, or the tonic water as we know it.  Jacob Schweppe was a jeweler and scientist by vocation. In 1783, he discovered how to produce carbonated water on a commercial scale. The tonic was born a century later - in 1870 - with the addition of higher carbon dioxide content - the brand signature that lingers to this day - and quinine. The gas is still very present in the Schweppes Original Premium and throughout the remaining range, and appears in the form of large and lively bubbles. It is a tonic which balances harmoniously the sweet of sugar with the acidity and freshness of citric acid and bitter quinine, using only natural source ingredients. It is extremely fresh with lime notes. This freshness is transported to the Gin & Tonic, where Schweppes will always co-star and not merely supplement. 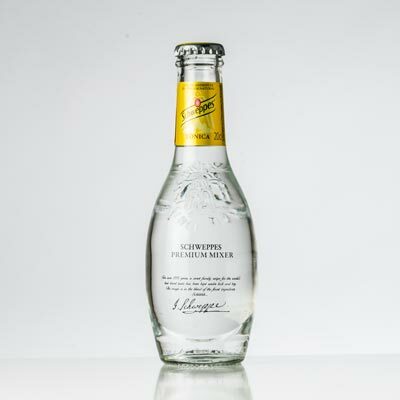 The Schweppes premium bottles recover the original shape of the brand with round bottom. This was ingeniously found to always maintain contact between water and stopper preventing the gas to be lost, as the bottles had never kept standing. It is one of the most versatile tonic waters on the market but its liveliness (lots of freshness and gas) can overshadow softer Gin aromas. Jacob Schweppe - a watchmaker and German chemist living in Switzerland - will forever be linked to the history of soft drinks. In the late eighteenth century, he produced carbonated mineral water artificially, now known as Soda. In the nineteenth century, with the company producing in the United Kingdom, the first lime soda with gas was created. The Schweppes tonic water was born shortly after in 1870, with the introduction of quinine on the recipe. But adding artificial gas to the mineral water was only half the challenge. The problem was keeping it. The Schweppes bottle - now recovered - appears as the true stroke of genius: its round bottom meant that the bottles were always tumbled and thus the stopper remained moist. This ensured airtightness and maintenance of gas. The Schweppes tonic water new range was launched in the twenty-first century, with the Pink Pepper became one of the flavored waters most implemented on the market. The pink pepper flavor comes out ahead and the quinine and citrus component are not noticed on the nose. The flavor of pink pepper is also the first thing felt on the mouth but gives way to the citric taste of lemon-lime and to dry aftertaste of quinine. As for the gas, this is immediately noticeable when poured on a glass or drank. 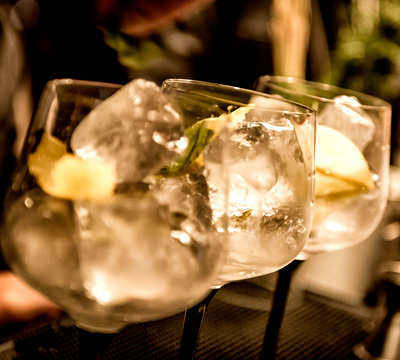 Carbonation is very present and lasts, maintaining the freshness of the Gin and Tonic from the first to the last sip. Tonic water pink pepper aroma will intensify Gin giving it more spicy and lasting notes. Combine it with London Dry or fruity Gins. The Old Tom Gins were the natural successor to Jenever and the first Gins distilled in Britain. They were known as low quality distillations, masked with the addition of rose water, orange flower, elderflower or sugar. The Old Tom Gins were almost extinct but a new movement has brought them back into the spotlight. Maintaining their sweet flavour of the olden days, they are now high quality Gins and are much appreciated in cocktail mixing. “Rome wasn’t built in a day”. Nor was Gin. During the 80 years war, British soldiers brought back Jenever. At the same time, a significant number of Flemish soldiers who fled the war, in the direction of England, began to distil their own. Homemade production saw a large increase during the reign of William of Orange. The kind liberalised distillation, making it possible for any citizen to distil his own spirit. Cumulatively, taxes were raised on imported drinks, and conditions were ripe for a boom in the production and consumption of Gin. Excessive consumption of alcohol, suddenly widespread, started to affect an England already with grave economic problems with a social crisis, a direct consequence of alcohol consumption, where infant mortality, drunkenness, work absenteeism and crime became common in quotidian England. Seeking to diminish the consumption of Gin, the first Gin Act, 1736, was signed and brought in an annual tax of £50 was placed on producers of Gin. The measure was strongly contested and the population took to the streets, forcing a revision to the law. The Gin Act of 1751 took control of the whole business from production to distribution. The new law couldn’t diminish consumption and it merely went underground. There were many places where illegal Gin was sold, almost always with a black cat, Tom Cat, or Old Tom, marking the spot. Gin consumed at that time was of very low quality. It was common to use sweet ingredients to mask the quality, like elderflower which was abundant in England, or rose water. At worst, sugar was added to make it more drinkable. The designation Old Tom remained associated to low quality Gin and naturally died out once more controlled quality Gins, the London Dry Gins, became the norm. Today, however, there are several brands launching their own versions of Old Tom. They are now of unquestionable quality with a common trace of sweetness. For that reason, they are especially apt for use in cocktails, where less dilution in the Gin needs a some sweetness. London Dry is the most widely known Gin all over the world. Juniper occupies central stage, just as defined in the technical specifications with which any Gin must comply to have the London Dry designation. This designation defines the distillation method and characteristics of the final product, especially the level of alcohol – always higher than 37,5 volumes – the aromatisation of the alcohol, distilling only with the botanicals, and dilution only with water post-distillation. Taxes imposed by the Gin Act of 1751, the last of 8, forced a rise in the price of Gin. This price rise however had its benefits. Once the product was more expensive, better quality Gin was demanded. Gin was now sweetened with sugar to correspond to the client’s taste, and not, as previously, to mask its many imperfections. The advances in the distillation process guaranteed spirits of better and better quality and, over time, the sweeteners were removed. Now in the Victorian age and a healthier lifestyle was in vogue, the glory days of low quality Old Tom were coming to an end and the London Dry Gins started to appear. London Dry was drier and more neutral and it was found to be more useful for mixing. One of the inventions that marked this jump in quality was the Fractional Column Still which permitted continuous distillation, with clear gains in efficiency and surgical rectifications during the distillation process, not just at the end. New botanicals such as citrus peels, coriander seed, angelica or lily root became common in the list of ingredients used and brought to Gin new aromas, while juniper remained its top billing. 1. It must be produced with a neutral alcohol based made from the fermentation of agricultural produce (rice, beet, cereals, grape must, apple etc.). The neutral alcohol must be as pure as possible, or rather, it must be mostly composed of ethanol, with no more than 5 grams per hectolitre of methanol in 100% ABV equivalent. 2. Aromatisation can only be made via distillation of the neutral alcohol (ethanol) with the botanicals. 3. The spirit obtained has to contain at least 70 parts alcohol per 100 distilled. 4. The addition of sweeteners post-distillation cannot exceed 0,1 grams per litre of Gin (final product). 5. Dilution must be made exclusively with water, the addition of colourants or aromas not being permitted. 6. The final level of alcohol must be 37.5 vol or higher. 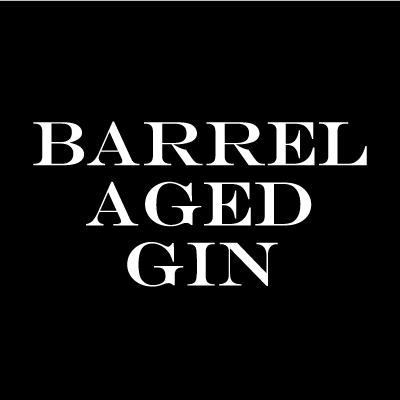 Barrel Aged Gin is the most recent Gin class, and it brings together the gins that undergo an ageing process post-distillation. Also known as Yellow Gins, for their resultant amber colour, they are Gins with a complex aromatic profile, quite smooth and rounded. The contact with the wood of the barrel takes down the intensity of the juniper and the same time as conferring aromas of warm spices, vanilla and caramel. The barrels in which Gin is stored define the type of aroma profile of the finished product. Thus the choice of barrel is especially important for the entire process. Casks in which Port, Lillet or Bourbon were kept are just some examples, though some brands prefer newly made barrels. The most recent Gin class, Barrel Aged Gins is also the one most filled with history. Despite the appearance of aged gins being fairly recent, the phenomenon can be understood as a return to its roots, a step back in time to when Gin was warehoused and transported in wooden barrels. On the shelves in bars, supermarkets and off-licences Gin always appears in a bottle but it wasn’t always thus. Bottled Gin is relatively recent when compared to the entire history of this spirit. Effectively, it was only in the 20th Century that all Gin was bottled. Until then, the product was transferred to barrels once made. These barrels acted as warehousing and then for transportation and retail, door to door. The inevitable contact of the Gin with the wood of the barrel made the Gin drunk by the end consumer a different product to that which left the distillery. This involuntary ageing process had greater effect the longer the Gin was in the barrel, and while some Gin was sold close by the distillery, some of it made long journeys, even across the Atlantic. It was this Gin, the one that the client drank, and not the Gin straight out of the factory, that some Master Distillers wanted to reproduce. Resorting to new barrels or, mostly, barrels previously used to store and age other beverages, they submit Gin to an ageing process resulting from its contact with the wood. The contact darkens the Gin, giving it an amber tone to a greater or lesser degree. Apart from colour, the wood influences the aromas of the Gins, conferring a greater complexity of aromas and warm notes, such as spices, vanilla and caramel. The resulting aromas and colours are heavily influenced by what was previously stored in the barrels. Barrels of Port, Lillet, Bourbon or Sherry are just some example used in the aromatisation of the Barrel Aged Gins. For an more neutral, smoother, ageing some also use newly built barrels. 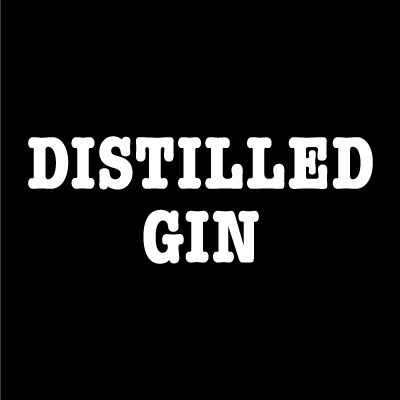 Distilled Gin is an ever growing group of Gins which bring a new approach to production methods, giving the Master Distiller greater freedom. As opposed to London Dry Gins, the technical specifications for a Distilled Gin aren’t so rigid, apart from the fact that the aromatisation must be made through a process of distillation. It is in this varied class that we catalogue very different Gins; those to which are added infusions of their botanicals post-distillation, those which make separate distillations of their botanicals, those which have a smaller than usual quantity of juniper, those with colour, and other myriad characteristics not permitted in the London Dry Gin class. From the Gin Acts to the 20th Century there was a leap. 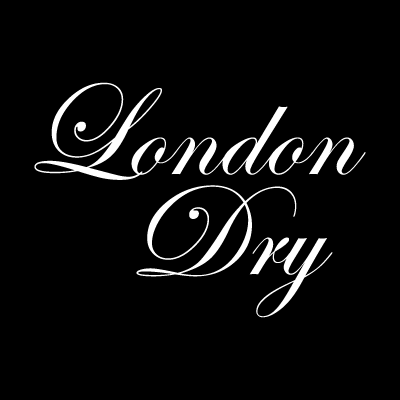 London Dry became popular and became the standard for excellence. On the rocks, in gin and tonic or as the spirit base for various cocktails, it was the fashionable drink to be seen with. The 1920s brought cocktail parties to the grand hotels, substituting dull afternoon tea. In the 1950s and 60s it was rare that a Hollywood star wasn’t accompanied by a Dry Martini. They were the golden years of Gin. The 70s and 80s, however, marked a downturn in consumption. The fresh image of the vodka overtook the outmoded look of Gin, which went to sleep until the following century. The renaissance saw new brands which brought a breath of fresh air to a centuries old spirit. Hendrick’s, born right at the turn of the century with its cucumber freshness takes was the first to hold centre stage, Martin Miller’s, its name inherited from its creator, which distils all its botanicals separately and Monkey 47, which, for the time, used an unthinkable number of botanicals, are just three of the brands responsible for the renovation of Gin. The only thing they have in common is that they aren’t limited by the legal and aroma palate restrictions of the London Dry class. The freedom of the Master Distiller in the aromatisation of their product is almost total, the only restrictions being that they have to use distillation of their botanicals and juniper must be to some degree present. The Distilled Gins are therefore the Gins of the 21st Century which bring new approaches to production methods. They were vital in the renaissance of Gin and will have a central role in its development clearly being the class with most room for progression, which will bring further innovation. Tonic water has been successful since its beginning, largely due to its prophylactic use against malaria. It became Britain's non-alcoholic favourite drink and Gin's favourite supplement. Quinine's growing demand and scarcity of natural sources , aggravated by the destruction of crops during World War II, led to the research and use of artificial solutions. The premium line was launched in the twenty-first century and returns to the old recipes and natural sources, either of quinine or sweetener. Schweppes range of premium mixers is identified by the iconic bottle and a color code that distinguishes its different flavors. Schweppes Original, Pink Pepper, Ginger and Cardamom and Orange Blossom and Lavender. Now it's time for the Schweppes Hibiscus. It is also the first tonic water with color - a shade of pink made by a hibiscus flower infusion. 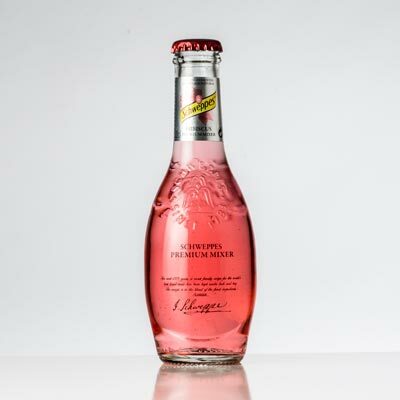 The Schweppes Hibiscus is distinguished from other tonic waters for its pinkish hue from the hibiscus flower. Its aroma is also more floral and fruity than other neutral tonics. On the nose, it is the sweet and floral aroma that stands out. In the mouth, the scent of hibiscus flower is the first to kick evolving into a more citric and dry aftertaste. This makes it the perfect mixer for a fresh and distinctly fruity Gin and Tonic. The Schweppes Hibiscus floral and fruity notes add new flavors to dry Gins making them more round and smooth. Known Botanicals Liquorice, almond, root and angelica seed, Chinese green tea, Sencha Japanese tea, coriander seed, iris root, orange, lemon and grapefruit peel and juniper. Brits like tea. Brits like Gin. Gin with tea? Of course. We do not know if this was the reason behind the creation of Beefeater 24 but the results speak for themselves. By adding grapefruit, Chinese green tea and Japanese sencha tea to the original Beefeater recipe, Desmond Payne created their London Dry. The Beefeater 24 is fresher, softer and more floral than the Beefeater Dry. But it is the scent of flowers that we feel when we open the bottle. The juniper notes are less noticed. On the palate, we are surprised by the softness, the elegant and citrus presence of grapefruit and an astringency in the end, signed by green tea. Known Botanicals Liquorice, angelica root, cinnamon, citrus peel, coriander seed, mountain daisy, nutmeg, sea rose, meadowsweet and juniper. It is from the beautiful landscape of the Shetland islands, North of Scotland, that the Blackwood's comes from. 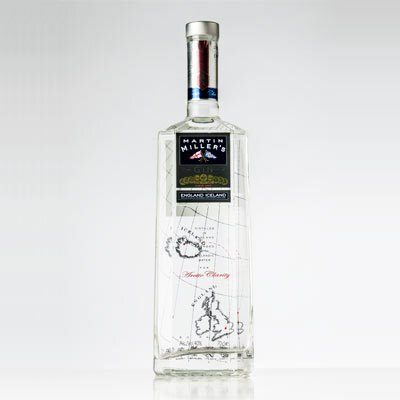 Using the local flora, this Gin carries all the richness and cultural heritage of the region. The recipe has a Nordic origin, and reflects the previous Viking domain. The main botanicals, such as angelica, rose from the sea, meadowsweet and marigold are locally sourced. You should expect a citric and herbal London Dry brought by the Shetland botanicals. 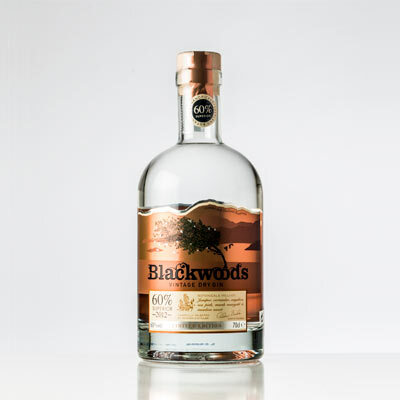 The close connection between the Blackwood's and the environment that surrounds it makes it a tribute to the year in which they are produced, hence it is Vintage gin. Known Botanicals Liquorice, almond, root and angelica seed, cinnamon, cardamom, cassia, coriander seed, cumin, anise star, fennel, grains of paradise, orange and lemon peels, iris root, nutmeg, cubeba pepper, satureja, verbena and juniper. 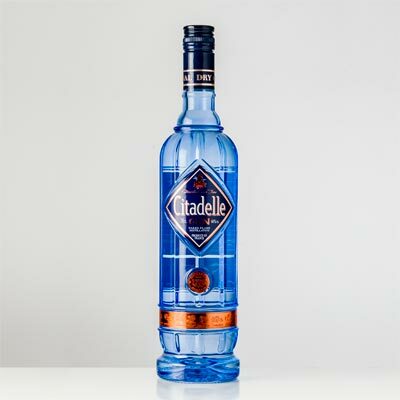 The Citadelle Gin is produced in the Southwestern region of France, the land of Cognac. Alexandre Gabriel, Citadelle's master-distiller, used an old Geneviere recipe which he found in the city of Dunkirk, dating back to the eighteenth century. In addition, he added the tradition of Pierre Ferrand and started the production of Citadelle in small stills of copper heated with direct flame and without steam (naked flame) - like Cognac is made. This type of heating is noted when we taste it. It's rounder and smoother than most Gins as a result of the botanicals caramelization inside the still. Produced using the 19 botanicals, the Citadelle offers spicy notes of cinnamon, anise and nutmeg but also a jasmine perfume. Known Botanicals Angelica root, cardamom, cassia, coriander seed, orange peel and juniper. 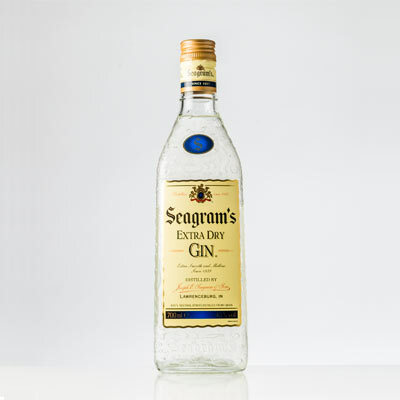 Seagram's was born in Canada but despite its origin, it is in the neighbour country where it is most important. The headquarters are in the United States. Its extraordinary price makes it a big competitor against pricier gins and a best seller in the US market. The secret lies in its method of production which includes distillation in vacuum at low temperatures and aging in oak. The result is an amber ton gin - the result of wood - which also contributes to its extreme softness. On the nose we can feel notes of vanilla and caramel. And when we sip it, it is the juniper that shines. However, it never loses its softness, one of its signatures. Known Botanicals Licorice, angelica root, chamomile, coriander seed, whole lime and white grapefruit and juniper, among others. Tanqueray Ten was only born at the beginning of this millennium. In 2000, Tanqueray Gordon & Co launched the Gin that soon became their image. The name comes from Tiny Tim - the alembic No. 10 where the heart of this citric Gin is distilled. Limes and white grapefruit - whole fruit and not just peel - are distilled in small stills. The obtained spirit is then transferred to a larger still where they are mixed with the other botanicals. 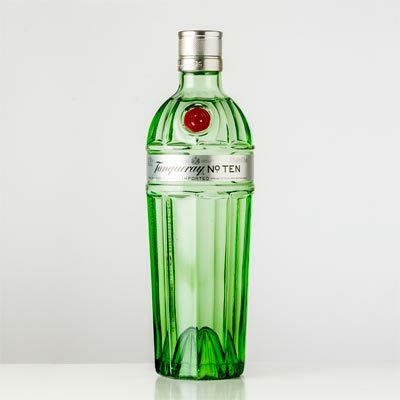 Tanqueray Ten has a higher alcoholic volume and more juniper than its older brother. 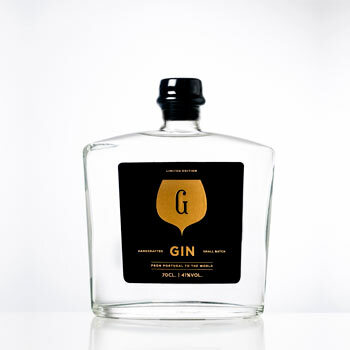 Nevertheless, it is an extremely mild Gin due to the fresh scent of citrus that comes on the first feel, nose or mouth. The 47.3 alcohol volume gives it a depth of flavor where there is space for the juniper and chamomile floral touch before returning again to the citrus which gives it a fresh characteristic in the end. The alcoholic volume and its depth of flavor makes it a mandatory addition to cocktails, particularly with Martinis. Known Botanicals Ugni Blanc vine leaf grape, liquorice, cardamom, cassia, coriander seed, ginger, lime peel, nutmeg, Cubeba pepper and juniper. Like its Nouaison brother, the G'Vine Floraison uses the Ugni Blanc grape as its alcohol base. This grape is especially adapted to the distillation process because of its high acidity - this is the immediate difference between G'Vine and the remaining Gins that use a cereal alcohol base. 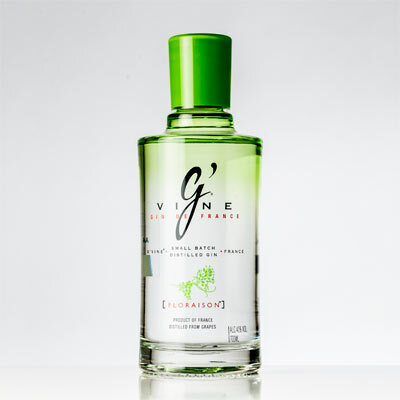 G'Vine Floraison is an extremely soft Gin with a very rich bouquet of aromas dominated by the perfume and fresh flowers. In one hand, the neutral alcohol used in the base gives it an immediate and differentiator velvety feel. On the other, the vine flower used in the distillation gives it a fresher floral note. The end is dry and the notes of juniper are notorious as well as the slightly spicy taste of ginger. The Floraison green version is fresher and lighter than its counterpart and seeks to capture the ephemeral and vibrant fragrance of the Ugni Blanc flower time of birth. On the other hand, the Nouaison captures the time between flower to grape, hence its strong and deep character. Known Botanicals The 4 main ones: Rosemary, olive, basil and thyme. The remaining: cardamom, coriander Seed, citrus peel (orange and lemon) and juniper. 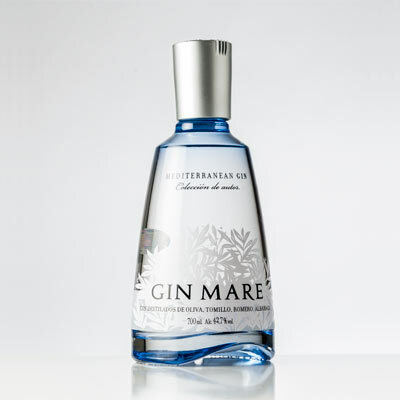 The sea is the source of inspiration for the Gin Mare as it is highlighted on the top of the bottle with the expression "Mediterranean Gin." The evidence is the liquid inside the blue translucent glass. The four main botanicals are rosemary, olive, basil and thyme. The warm rosemary aroma, greasiness olives, fresh basil and thyme smoke, all evoke the scents of the Mediterranean. The botanicals are macerated and distilled separately, with the exception of the citrus - sweet and bitter oranges and lemon. The first breath is naturally herbaceous with notes of rosemary and juniper. The freshness of the basil and the olive are also present in a surprising armony. In the mouth, it is the softness of the alcohol that stays, leased by the touch of olive. The rosemary, cardamom and juniper are also notorious giving it a herbal and salty taste. Known Botanicals Licorice, rosemary, toasted almonds, cinnamon, ginger, hibiscus, pennyroyal, Muscat raisin, orange and tangerine peel and juniper. 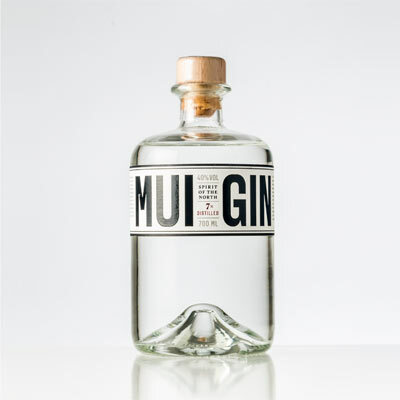 The Mui gin comes from an old Geneva recipe that was in possession of Chef's Helio Loureiro family since 1873. The chef's creative vein made him bring some of the most expensive spices to the recipe, giving it a more contemporary feel, more aromatic. Mui is produced using 7 distillations in search of a purer, smoother and pleasant alcohol. In addition, there is a varied palette of botanicals where we can find the Moscatel grape, sweet citrus, roasted almond, pennyroyal or hibiscus. The Mui is rich and fruity with the juniper always present. The taste in the mouth is given by the fruit and spices with the velvety touch of raisins and toasted almonds. Known Botanicals Cardamom, gaga grape vine leaf, orange blossom, tropical fruit and juniper. Friday Chic Gin was born in the heart of the Bairrada region - North of Portugal - in a distillery with many years of experience in the production of the best sparkling made in Portugal. The vine leaf from the Baga grape - variety found in this region - enters the distillation process adding an astringent touch to the Gin. Although unnoticeable is of utmost importance since it is the counterpoint to the sweetest aromas of orange blossom and tropical fruit. The breathe feeling is extremely pleasant. The alcohol taste is very soft and the fragrant notes of ripe fruit and floral touch invite to a deeper inhalation. In the mouth, the softness, sweet and fruity touch of this Gin is confirmed. The juniper is less noticeable than in most Gins which makes Friday extremely soft. Known Botanicals Almond, angelica root, cinnamon, cassia, coriander seed, kumquat, nutmeg, rose, lemon peel and juniper. Serra da Estrela - the highest point in Portugal - is one of the few places where the juniper plant grows in its natural state. It is also the region where many liqueurs and spirits are produced. The combination between experience and source of wild juniper was the perfect setting for the development of a new Gin. The primacy was naturally given to juniper but sweeter botanicals were added to the distillation in a more contemporary approach to Gin. 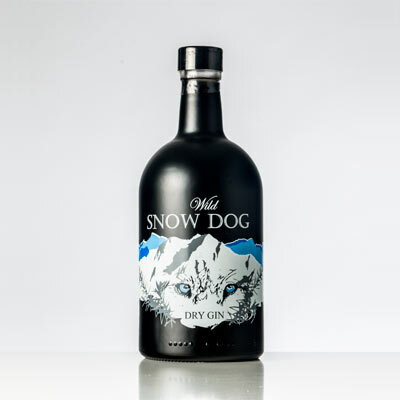 Wild Snow Dog has spices such as cinnamon or cassia, the sweetness of the kumquat or the greasiness of the almond. The result is a very pleasant Gin either on the nose or the mouth with the juniper coming first, soon followed by the warm touch of cinnamon and cassia and a citrus component less noted than in most London Dry. Known Botanicals Licorice, angelica root, cassia, coriander seed, iris root, cucumber and bitter orange, lemon and lime peels, juniper. Sir Martin Miller was disappointed with the way the British national drink - Gin - was going. Therefore, he decided to produce his own version which became one of the most emblematic Drys on the market. He only needed time to tune the distillation process where most botanicals are separated from the citrus to better maintain their character and find the water to do justice to the spirit obtained. The water for dillution comes from Iceland where Sir Martin Miller thought he found the most pure and soft water on the planet. Martin Millers has a well pronounced juniper aroma, accompanied by citrus notes (fresher than in most Gins, as a result of the distillation method used) and a rich, spicy and lasting palate without losing its lightness and elegance. A Gin made with love, obsession and a dose of madness makes it elegant for a gin and tonic and its flavor will endure beyond other ingredients on a cocktail. Known Botanicals Cardamom, coriander seed, bitter orange peel, sweet orange and lemon and juniper. From Distillery MG - with centuries of distillation history - was born Master's Dry Gin. This is a traditional London Dry with some variations in the production process. Master's is the result of three distillations. On the first, cardamom, coriander and juniper are distilled cold. On the second, there are three different macerations with citrus - sweet orange, bitter lemon and orange, which rest more than one year. The spirits obtained from the two first distillations are then combined and distilled one last time. The Master's assumes itself as a gin where the botanicals appear immediately and the juniper comes in a secondary role. On the nose, the alcohol is dominant ponctuated by the juniper and reminding pine. 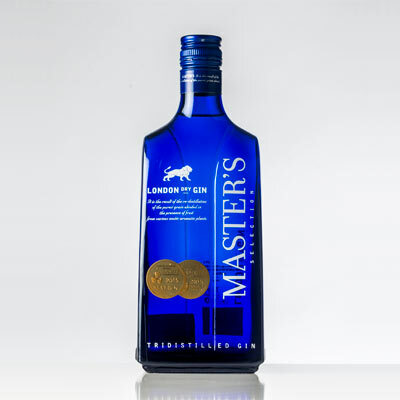 In the mouth, Master's is a direct Gin with little complexity and where the citrus shine. The end is sweet but slightly extended. Known Botanicals Angelica root, cardamom, coriander seed, orange and grapefruit peel and juniper. 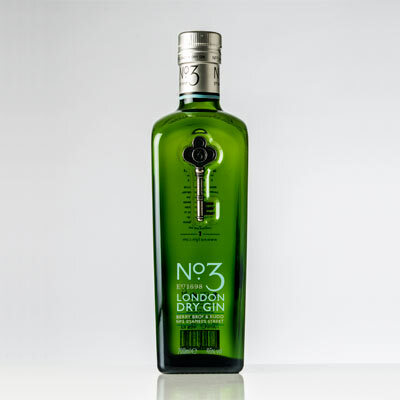 The Nº3 London Dry Gin shows us that simplicity can be a synonym of high quality. With only 6 botanicals divided by 3 fruits and 3 earthen elements it can have a perfect complexity and balance. Was created in 2010 by Berry Brothers & Rudd - a flagship wine and spirits store with more than three centuries - located in No. 3 St. James Street, in the heart of London. 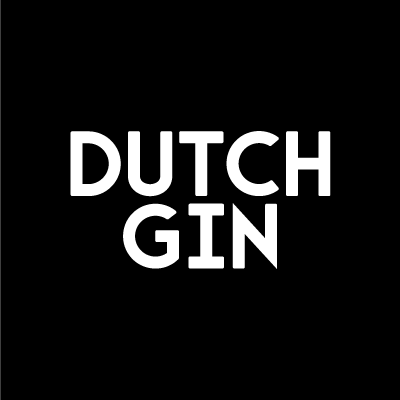 The production is located in the Netherlands, where the company has found a contemporary distillery shop - De Kuyper Royal Distillers. Its image is a key which appears in front of the bottle and was inspired by the one that opens The Parlour (a store division) and symbolizes the family legacy. On the nose and palate, the No. 3 honors the tradition of a London Dry: dry and citric with clear notes of juniper combined with the elegance of grapefruit and orange. Known Botanicals Liquorice, almond, angelica root, cassia, coriander seed, lavender, lotus leaf, lemon peel, iris root, dragon eye, white poppy and juniper. The Bulldog Gin was released in 2007. It was a converted banker to gin producer dream. 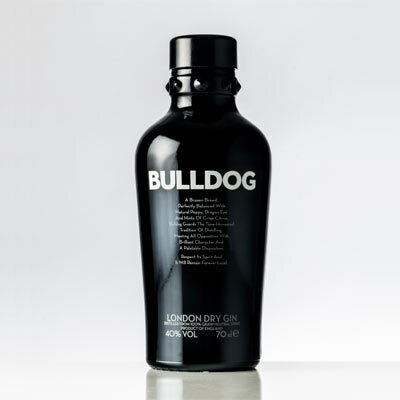 Thought in the United States and produced in England, the Bulldog proves the international vein of the creator and the Bulldog Gin itself which makes use of 12 botanicals coming from the four corners of the planet. It has a very rich bouquet where citrus and coriander seeds occupy a prominent place. It is extremely smooth with a dry character, where the juniper stands. Despite the eccentricity of the Bulldog botanicals, dragon eye, lotus or white poppy leaf, it is extremely mixable in a cocktail and versatile in a gin and tonic, offering almost endless possibilities of creating new aromatizations. Known Botanicals Caraway, angelica root, chamomile, coriander seed, orange and lemon peels, iris root, cucumber, Cubeba pepper, rose petals, elderberry and juniper flower. Hendrick's revolutionized the Gin world when it introduced the fresh cucumber aromas and the soft scent of rose petals instead of the more traditional citric versions. Hendrick's was born at the turn of the millennium and soon it distanced from the status quo. Banished the citrus into the background and gave priority to the freshness of the cucumber and the rose petals elegance. 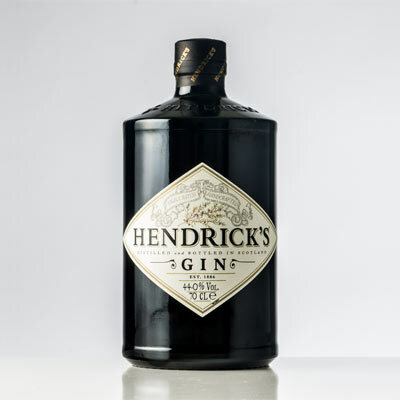 Hendrick's also innovated in the production process which uses two different stills. The Bennet where botanicals are placed directly in infusion and the Carter-Head where botanicals are arranged in layers and their scents dragged by steam. Hendrick's comes from the combination of the strength of the first with the elegance of the second and last infusion and from the cucumber from Belgium and Holland and roses from Bulgaria. Hendrick's has a fresh and floral aromas but leaving space for the juniper. It is essential to drink a Gin Tonic or any other cocktail. Obviously choosing the right glass related to the drink we serve. Cocktails are served in an almost infinite number of glasses, where the capacity is always decisive but the visual aspect also weighs a lot. To choose the ideal glass for a Gin and Tonic, there are two essential factors that must be taken into account: its ability and mouth. Let's first talk about capacity. 5 cl of Gin 20 cl of tonic water and about 30 cl of ice. All in all, more than half a liter necessary. That is why we advise cups with a capacity no less than 600 ml. Smaller cups could require cutting one of the elements that make up the Gin and Tonic, usually ice, which result in a less cool drink and a fastest dilution of ice. The cup mouth should be wide. At least wide enough to drink and feel on the nose the aromas that come from the glass. 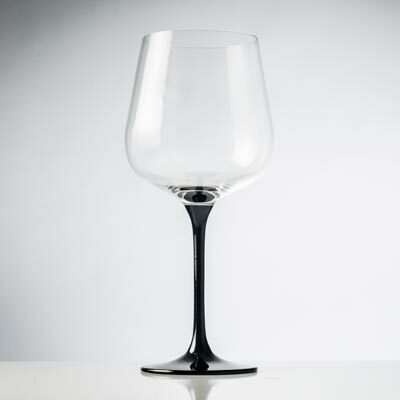 A narrow mouth, like the thin tube glasses used in the eighties, cuts our ability to smell and drink it completely. We lose much of the experience. There are other factors that influence the Gin and Tonic drinking experience. The lightness of the glass itself, thickness or color given to it among others. We are sure that with more than 500 grams of drink and ice in, a glass must be as light as possible. The smaller the glass thickness the more refined our senses are. The delicacy calls attention but there is also a resistance here. The color is a matter of taste. A transparent glass allows better visualization of the drink but the color, usually in brand cups, can guide, albeit tenuously, our senses to what we want to show. Balloon or wide tube? Whatever. There are advantages and disadvantages to both formats. The Important is to have a good mouth and capacity. Especially when we add a good Gin and tonic. With the Gin boom in recent years, the respect for the drink proportions that make up a Gin Tonic have also been taken seriously into account. The golden rule: 1 to 4 or 5 cl of Gin for 20 cl of tonic water. This spread rapidly and jiggers have become a common tool in bars but also in Gin passionate homes. The case is more difficult in Gin bottles whose capacity is usually between 70 or 50 cl because new tonic waters have a usual measure of 20 cl. It is here that jiggers have become extremely useful allowing to quickly and accurately measure the right amount of Gin to add to our Gin and Tonic. Its capacity may vary but the most common models have up to 5 cl on one side - perfect for a Gin and tonic - and 2.5 on the other - suitable for medium Gin and tonic. To use the full capacity we should fill the jigger up then pour the liquid into the glass. 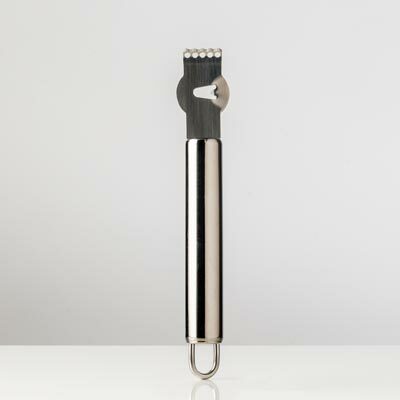 For the cocktail preparation, where the measurements vary more we advise different size jiggers. This way you can use them for different abilities and not just for totals indicated in recipes. Freezing a Gin glass means promoting ice stones to touch walls of the glass in a circular motion. Albeit unintentionally, some of the ice will pass into liquid making the glass accumulate some water. For Gin and Tonic, we just want to remove the water and not the ice. To facilitate this process we can use a strainer. Relying on the edge of the glass we can reverse it and outputting all the water on it at the same time that we retain the ice cubes. The strainer may also be useful in the production of cocktails. Its main function is to always make the separation of the solid from the liquid elements, allowing the latter to be poured into the glass leaving the solid, unwanted on the drink, in the shaker or mixing glass. For more creamy finishes, where we do not want small ice crystals, we can use a net strainer beyond the strainer. This is called double strain. Citrus fruit may be added to the Gin in various ways. Zest, twist, slice or even parts. The peel has essential oils so the first two are the most commonly used. A slice or part have is a problem. These bring large amounts of citric acid to the Gin and tonic that cause premature destruction of the tonic gas bubble. To obtain zests and thin peels from citrus we use a zester. To get twists we get the help of a grater. The twist is narrower than the zest but allows a greater length since it can be removed by making spirals. Common graters allow even to remove very fine twists we call wires. Smaller diameter of these wires contain exclusively the best part of the fruit skin that has more and better aroma. Cocktails, Gin and tonic is no exception, require a more or less extensive set of tools to aid their preparation. The Bar Spoon is one of the most common and versatile. The most common models have two sides. A metal spiral segment in one and the macerator on the other. The latter replaces the pestle and allows the fruit spices or any other ingredient that want to join the cocktail maceration. The spiral - where we can pour the liquid through - is especially useful when we want to make drinks in layers. Using it to shed the tonic water into a Gin and tonic is however a mistake we must avoid at all costs. The spiral will increase the tonic water speed causing the gas to break when it reaches the bottom of the glass. Instead, you can pour the tonic through the spoon back, next to the ice cubes. Thus, water will be poured closer to the glass bottom running along the ice and diminishing the effect of gravity. If you prefer, you can use the concave shape of the spoon to allow the tonic water to run through the walls of the glass, where the water will come down later. The spoon is quite useful to help freshen the Gin and tonic glass. With the spoon clamped between the fingers we should promote a rotational movement making the ice cubes touch the walls of the glass and thereby cooling them. The tradition of making Sloe Gin is centuries old in England. Thus, the centuries old, traditional Plymouth based company - it must never be forgotten that Plymouth Gin Distillery is the oldest distillery in England still in production in its original home – had to present its latest Gin based liqueur. Resorted to the recipe date back to 1883, Plymouth respects its ancestral methods of production of Sloe Gin, adding Sloe berries to its Gin and sugar to facilitate the extraction of flavour from the previously macerated fruit. Sloes belong to the plum family, described as similar to the damson but more bitter. Sloe Gins are naturally smoother than Gin because of the fruit and, of course, the sugar. When we open a bottle of Plymouth Sloe we immediately notice the fruity touch of this Gin, with plum appearing first, closely followed by a touch of almond. Something we don’t notice is the alcohol, due to its lower alcohol grade of 26º, and due to the sugars extracted from the fruit. In the mouth, Plymouth Sloe remains smooth and fruity even though it is well structured and has a drier taste than other Sloe Gins. Known Botanicals 47 botanicals in total. 23 grown in the Black Forest. 25 impart flavor and scent to the Gin. 22 increase the complexity of aromas...and hinder copying. Looking back at the Monkey 47 long story, we get the idea that its success is just the result of an immense succession of serendipity. This is how the creators - Alexander Stein and Christophe Keller - describe it. Nothing more false. Monkey 47 is the result of hard work, a methodical approach and the assumption that nobody is born taught but everyone can learn. Indeed, none of the two even knew how to distill. Using an ancient old recipe from a British commander who resided in the Black Forest in the postwar period, Alexander and Christophe analyzed a total of 120 Botanicals and selected 47. They tested, tested and tested again. They noted, adapted, tested, adapted again and noted again. A rigorous experimentation process that led them to create one of the most emblematic Gins we know today. The complexity is evident at the first contact. There is the Black Forest fresh fruit and spicy touch and the resinous juniper, all competing in an orderly bouquet able to touch everyone. The complexity continues on the palate, never losing the connection to a more traditional gin with the presence of the juniper and fresh citrus. It's getting difficult to know how it all started. There are stories about it but memory starts to fail sometimes. All of the partners have different views of that first night. One may say that the first Gin and Tonic drank just had three ice cubes and no botanicals. Other can say there was only London Dry with no tonic water. However, all the Gin Lovers partners have one thing in common: they all have their own first meeting, project, decision, discussion story since the foundation between 2012 and 2013. Gin Lovers was born from Carlos Alves mind. He is a dreamer and a professional pharmaceutical. Carlos is a dedicated Gin follower and his professional trips made him know more about the Gin world in Europe. He wanted to share his passion and therefore created a Facebook page named Gin Lovers. Other lovers joined him soon after. Those Gin addicters gathered in a restaurant to taste some Gins and started to make promises for the near future. The first idea to become a project was the National Gin and Tonic day, celebrated every year in June since 2013. 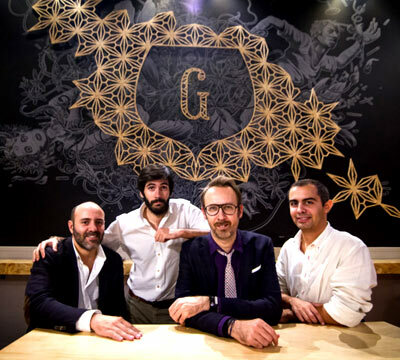 The first event that started as a Gin celebration in bars and restaurants throughout Portugal, made the news and put the six Gin Lovers in an increasing successful project. The National Gin and Tonic day in 2013 was the start of Gin Lovers as a company, with lifetime projects: Workshops and Gin Experiences in Lisbon and Porto, the first Gin Magazine in the World - Gin Lovers Magazine, two books launched, one bars opened - settled at Embaixada with the name Gin Lovers & Less (Praça do Príncipe Real 26, 1250-184 Lisbon). The former has the whole Gin Lovers story in itself. In 2018 the Lisboa Gin launch. A gin with signature Gin Lovers. A gin that we want to be the ambassador to the city throughout the world. With the time flying, it is becoming harder to know where it is all going to end. Gin Lovers® is a registered mark. All rights reserved. The task was by no means simple in the face of the competition, and even harder with some rocks in the road that appeared during the tests. Even the infusion machine decided to be uncooperative, but in the end, in a contest which prized the final drink and the creativity of its ingredients, it was Ana Morgado who made the best cocktail, adding a salty touch of enriched presunto and the complexity and smoke of black cardamom. 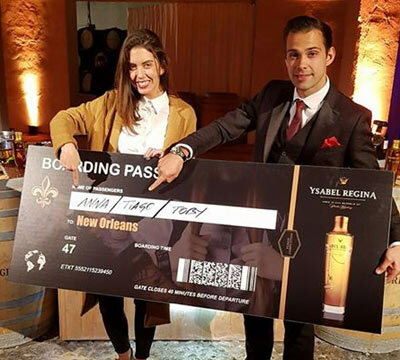 In a final in which Portugal won 2 out of 3 categories, Tiago Mira, Portuguese bartender who previously headed the bar at The Ritz, London, was one of the other winners. We congratulate both the two Portuguese winners and also Portuguese cocktailery overall, showing that it can keep up with the rest of its European peers. We want a bar that is not just a bar, a restaurant that is not just a restaurant, a shop that is not just a shop. We want Gin Lovers at Príncipe Real to be a venue that shapes itself to the day and the night and, more importantly, to the people who will make it happen... you. There will always be something to be completed by whatever you want to bring. 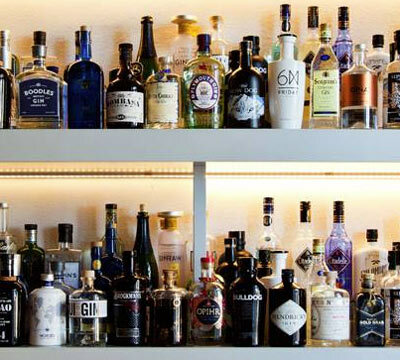 Gin Lovers project is the result of creating a space 100% dedicated to Gin in the centre of Lisbon. 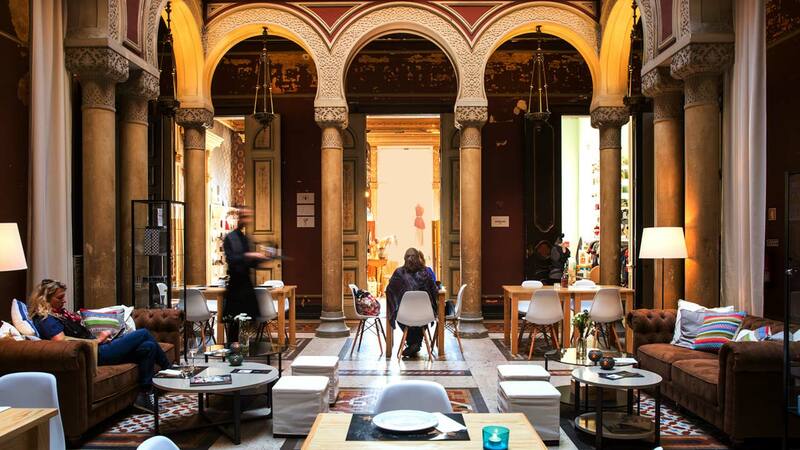 It will be a signature venue in Portugal and unites all of Gin Lovers activities in one location - the Gin, the bar, the shop, the restaurant and the lifestyle. The bar will essentially, of course, be a Gin Bar, its list lovingly created by the Gin Lovers team, in which the big names in Portuguese and international gin will make for a selection of the best Gin and tonics and Gin cocktails of the world. The team will be available every day to suggest the Gin best suited to your tastes and alternatives for those looking for new discoveries and flavours, with or without alcohol. The main Gin shop in Lisbon. You will find all the Gin Lovers merchandise, from glasses, kits, barware and the new collection of Gin Lovers Botanicals, not forgetting our Gin Lovers Workshops and Experiences, books, tonics and, of course, Gin. The cookery at Gin Lovers will reflect our objective of working with the best quality Portuguese produce and the best Portuguese chefs to find interesting and delicious experiences and find new ways to pair cuisine with Gin. Gin. The basis for my favorite cocktail. In fact, the Holy Grail of cocktails. The Martini. “A perfect Martini should be made by filling a glass with gin, then waving it in the general direction of Italy,” said Noel Coward. (Italy being a major producer of vermouth). Luis Buñuel also used the Martini to inspire his creative process. The Gin and tonic is even more classic. Gin has a pedigree. A level of sophisticated cool perhaps unobtainable by other alcoholic beverages. Lisbon. Portugal. Famous for theoldest bookshop in the world. Cinnamon. And Gin Lovers bar/restaurant/store. I spoke to Miguel Somsen about what makes Gin so important? Well. it’s always better when you start with a premium Gin instead of a regular Gin. Premiums are better because they do not include the so-called “bad alcohols” that cause headache and hangovers in the distillation process. Than you have to have a very good tonic water if you’re into Gin & tonic. Once you understand that the Gin & tonic is really a cocktail, that will help you achieve greatness. Five years ago in Lisbon, you either drank wine or beer, that was it. You could also drink vodka or gin with a lemon twist or orange juice bought in the corner shop. In bars they would be prepared by amateurs with second grade vodka and gin. What changed in Portugal and Europe was the quality of Gin. Before 2013, you only had Tanqueray, Bombay, Plymouth, Beefeater and Hendrick’s. They were great brands, but Gin wasn’t fashionable. Now every country is producing Gin. In less than three years, Portugal has more than 30 Portuguese brands. This is amazing! The excellent quality of Gin means that other distillates need to work on the same pace: now you have great rums, tequilas, vodkas, cachaças, and vermouth coming from everywhere. What’s a gin bar for the uninitiated? A Gin bar is just a bar where Gin rules and inspires. Gin changed the way people drink in this country. We already have more than a million people drinking Gin in Portugal—about ten percent of the population. We’re talking about a poor country which is only used to drinking wine. For these people, Gin is not cheap, and that means they really want to know they are spending their money on quality. Customers will probably know around 20 gin brands, and we see it is our role to suggest other options. We mainly serve Gin & tonic, but today we are exploring Gin and other distillate cocktails.  How did the bar come about? Gin was the reason that brought a group of us together. Originally to work on a National Gin and Tonic day and a magazine. In the beginning the Gin Lovers project did not include a bar. We knew we would eventually need a bar to express our passion for Gin, but we did not want to rush it. However, there weren’t any 100% Gin bars in Lisbon, and Gin suddenly became so popular in the city we began having second thoughts. We met a friend who owned a wine bar that could also be turned into a wine & gin bar, and so we gave this a shot. That was Vestigius, in Cais do Sodré. It was our first experience in bartending. We ran it for over a year, and it was a great experience, but it was never “our” bar—we just rented a spot there. We knew we had to give Gin Lovers a place of its own. 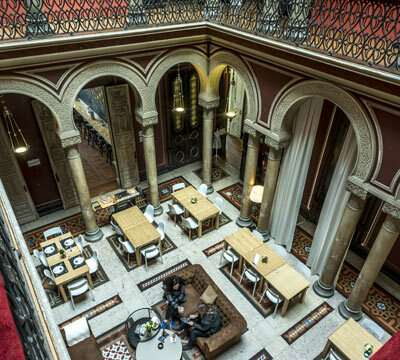 So we opened a bar in Vestigius in April 2014, then moved to Gin Lovers Príncipe Real at Embaixada in November 2015. Now we have Gin Lovers bar which also happens to include a restaurant (Less by Miguel Castro Silva) and a store. The interior design was developed by the company Pó de Madeira. Who comes to a Gin bar? Nowadays everybody. Now, everybody is a potentially Gin drinker. But not 3 years ago, when the Gin craze started. In 2013 you could only find Gin in a good wine shop in Lisbon (Garrafeira Nacional) or in El Corte Inglés (ECI) supermarket. The rest you would buy in Spain (the Gin revolution in Portugal has a strong Spanish influence). Today, if you open a bar without Gin, you’re DOA. Of course, as a customer, you have to have 20 euros in your pocket to afford one or two Gins at a bar. But the Gin craze in Portugal is so strong that people now skip meals in a restaurant to be able to pay for drinks. What are they drinking? Gin. 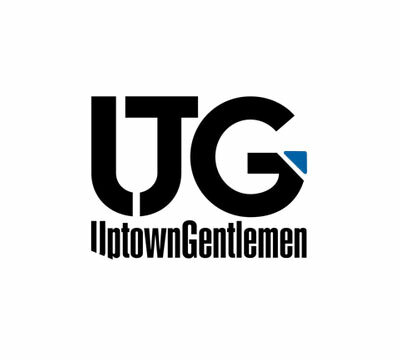 Tell us about the Gin Lovers Magazine? Gin Lovers started with a group of Gin lovers meeting up at a restaurant to try new Gins and developing ideas for our recently opened Gin Lovers Facebook page. Our first challenge was the inaugural DNGT Dia Nacional do Gin Tónico (Gin & tonic National Day) in the summer of 2013, which turned out to be a huge success. Only after this did we seriously consider going into business. When we founded Gin Lovers company in October 2013, our main focus was always editorial. 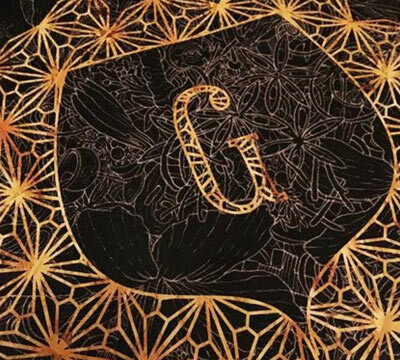 Meaning: it was much more important for us to develop ideas and stories around Gin than to just sell Gin. How would we reach our targeted audiences? By creating a magazine. Every issue of Gin Lovers can be a hell of a lot of work, but it’s a labor of love, and the only Gin magazine in the world. 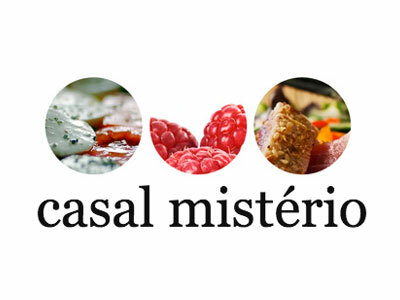 How did the restaurant—Less, run by Miguel Castro Silva (MCS) - come about? Twenty years ago, MCS was ahead of his time with a restaurant called Bull & Bear in Porto. A business too ahead of its time to be successful, and eventually he moved south. MCS opened some small spots in Lisbon and began experimenting with traditional Portuguese cuisine. When we met him again in 2015, he told us that he wanted to bring back to Lisbon some of the dishes he had to leave behind in Porto. That’s what we have now: a very well balanced menu with cold fish carpaccios, tartars and ceviches, mixed with some risottos, light gyosas or grilled scallops. The way they are shared by everybody on the table makes this experience very pleasant. And of course you can eat everything with Gin! What other kinds of drinks, alcoholic and non-alcoholic are served? We use the Gin for Gin & tonic and other Gin cocktails. Now that cocktails are fashionable again, we are beginning to work on cocktails made with non-Gin distillates, such as vodka, cachaça, rum, tequila, vermouth. Since we own a restaurant, we have beer and wine. 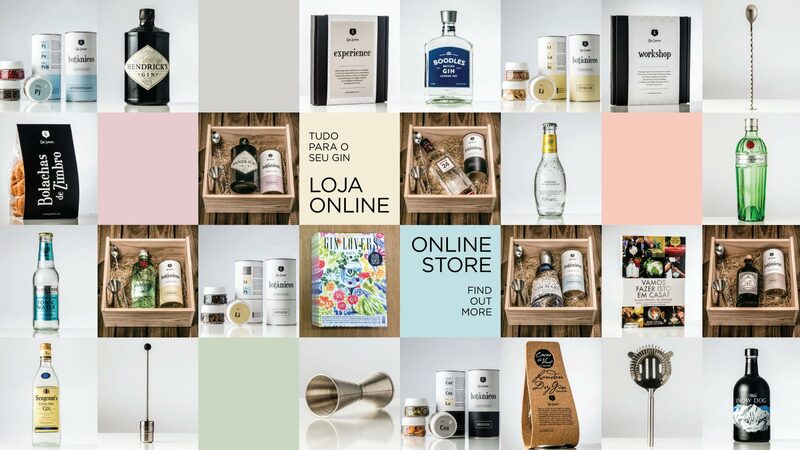 Can you buy everything you need for a great Gin experience in the Gin Lovers store? Yes. Gin Lovers Principe Real is a bar, a restaurant and a store. You can buy all the Gin brands that you can find in the bar. Plus magazines and books. And of course the botanicals and tonic waters packages. We have everything that you need in order to make your own Gin & tonic at home. Tell us about any special events the bar holds each year? Every last Friday of the month there’s a Gin Lovers Party dedicated to a Gin brand (Gin Lovers Party Ten to Tanqueray, Gin Lovers Party by Gin Mare, Gin Lovers Party powered by Hendrick’s) or a concept (Gin Lovers Party Europe, with the best European brands). Since we work with one of the best chefs in the country, we have developed the Jantar Gínico, or a Gin Dinner, where you workshop a one-day food & drink menu with the chef. All the music you’ll listen in the bar is selected by a special exclusive DJ called Miss K, who only works with us bringing her DJ parties and a special playlist selection. We’re working on some other ideas for the first anniversary of Gin Lovers Principe Real in November. Hope you can show up! 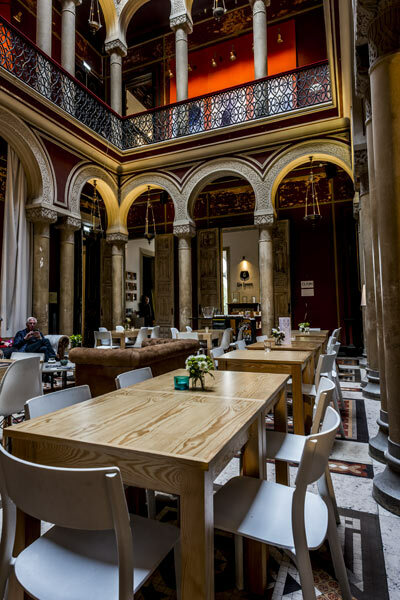 A new bar of Gins was already sufficient reason to enter to bulldoze ahead for our list of sites to visit in 2016. 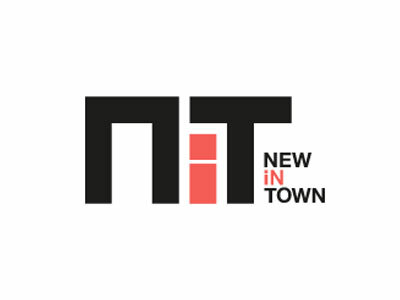 And then if this bar also has a restaurant of hot and cold snacks, made by chef Miguel Castro e Silva, then I am already open the door on the street. But there is more. And better yet, also fall under my financial diet, with the prices of all the dishes to vary between €6.5 and €11. The gin continues in fashion, so we could not leave out in this list one of new bars that dedicated the menu to drink. We talk of the Gin Lovers Principe Real. Inaugurated at the end of October in the interior of the Embassy. The space works as bar, with several options of Gin, but also as a shop with books and sets for preparing the drink at home and still restaurant. When joining the simplicity of a kitchen with a space, we find the restaurant that suits us! We find an example of this in Less in Gin Lovers, where dishes with "simple" we can chop, pass a good time and enjoy a generous menu of Gins. If the menu is generous in Gins, is very tasty in their tasting dishes; moreover everything is thought to the bureau is an exercise of sharing among the guests. We must highlight two dishes that left us crying for more; the tuna tartar and risotto with darts and a crispy bacon. For those who want something more substantial, are a hamburger of veal with duck liver and fries. The kitchen and restaurant of Gin Lovers Príncipe Real / Less by Miguel Castro Silva reflect the aim of growing Gin Lovers in running the quality of traditional product with Portuguese national best chefs, providing a level of excellence in the pairing of food and Gin.